And now for something completely different - a trip down 'Stinky Hole', the River Ebbw tunnel as it runs under Blaina. 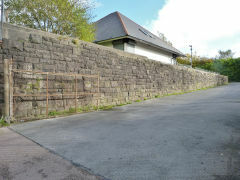 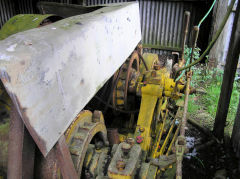 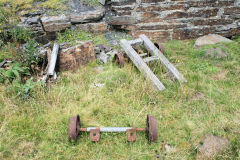 The main purpose of the trip was to retrieve an unusual railway wheel for Blaina Museum. 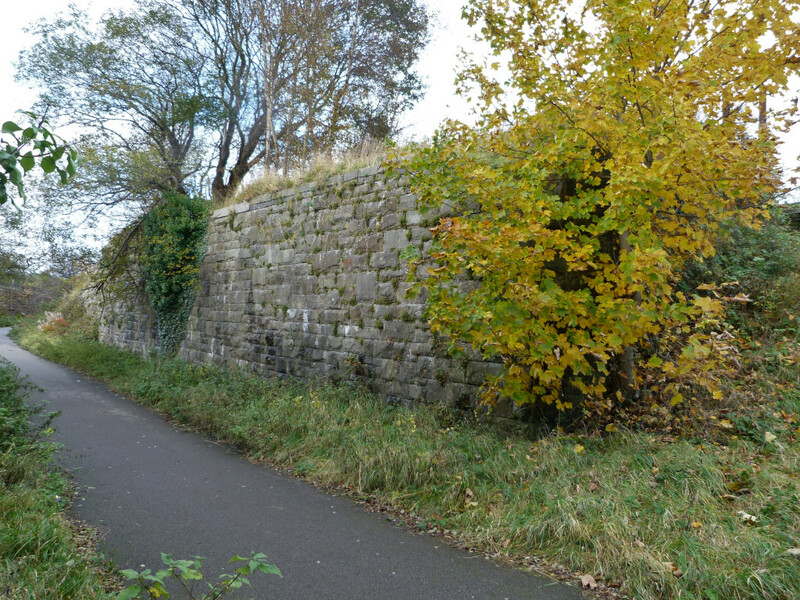 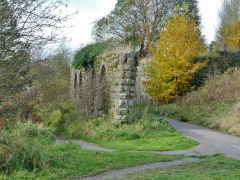 Most of the tunnel is in a modern concrete culvert but the first section is the original stone tunnel with side tunnels and loads of dram wheels, axles and rail ties. 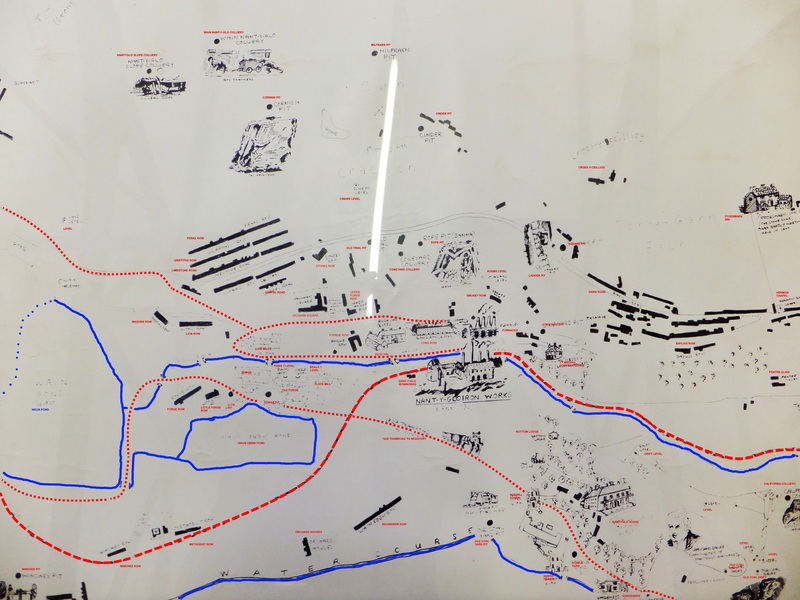 This excellent map of Blaina and Nantyglo is in Blaina Museum. 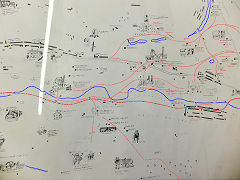 I have annotated it as much of it is difficult to read so there are certainly some mistakes. 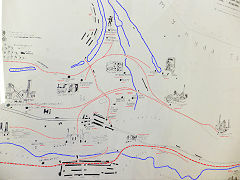 Please let me know if you can decipher anything else. 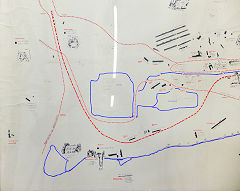 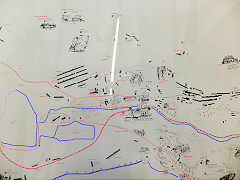 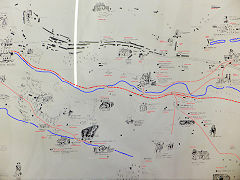 Click on the thumbnail to enlarge it and click 'Full Size' on the toolbar to see the maps full-size. 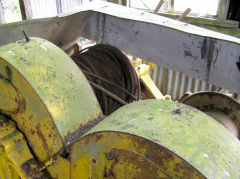 They take a few seconds to load as they are quite large files. 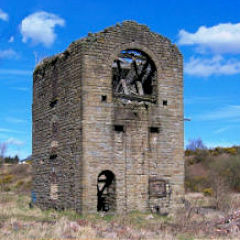 Sunk in 1856 to feed the Nantyglo Ironworks, this colliery passed to John Lancaster's empire in 1881. 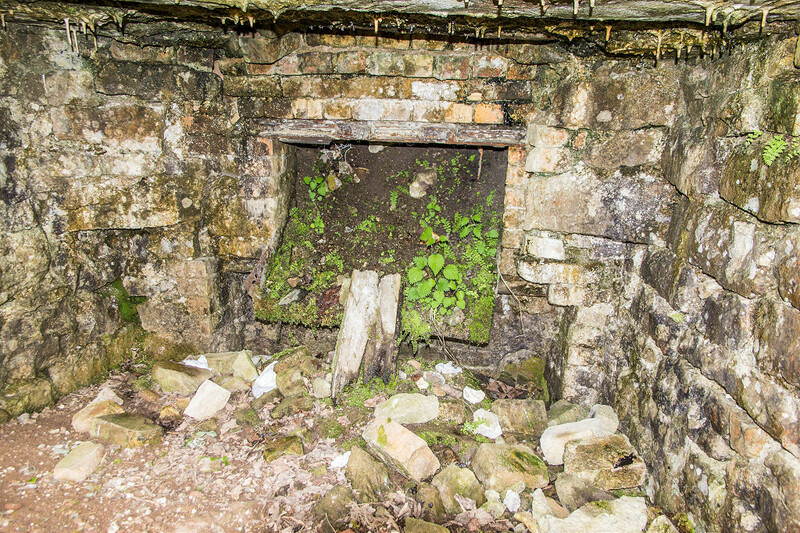 It closed in 1922. 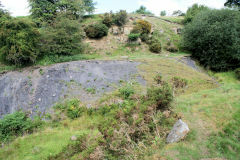 By 1948 an incline ran up to a level on the hillside above. 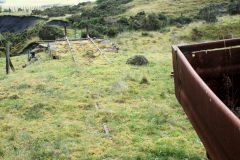 There's not much trace of the incline but the tips and tramway are at the top with the frame of at least one dram. 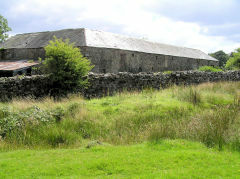 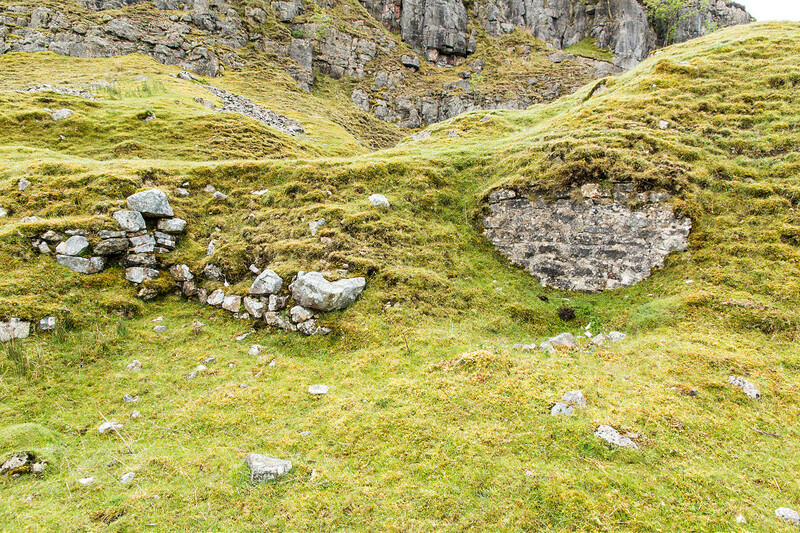 The buildings at the foot are used as stables now but may be connected with the level. 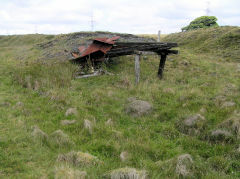 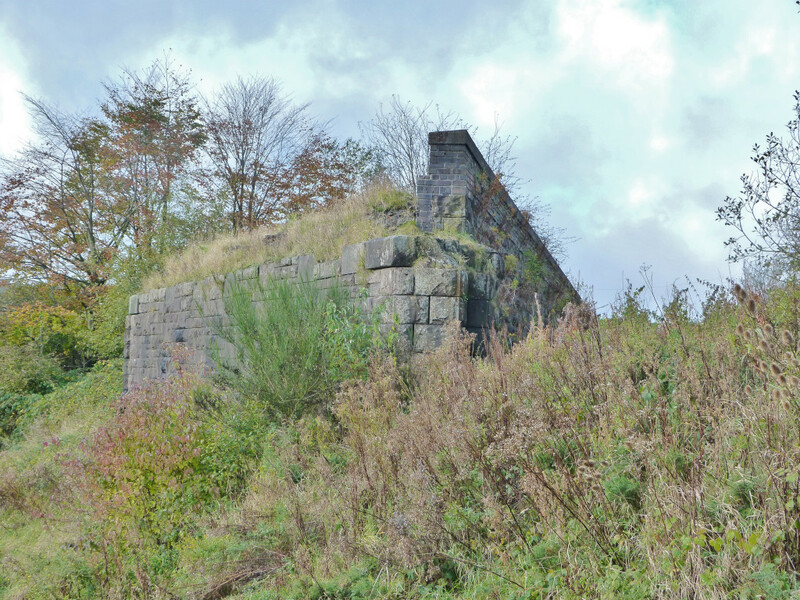 Trostre Pit was part of the Coalbrookvale Collieries, opened around the 1850s and then abandoned in 1916. 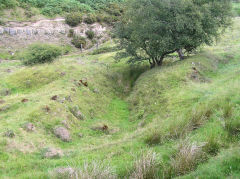 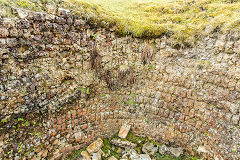 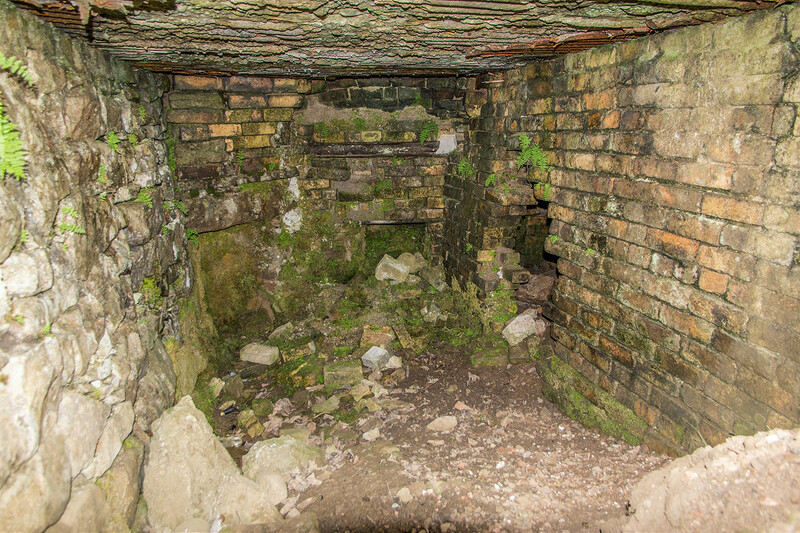 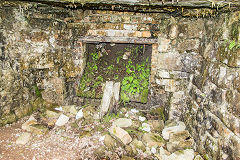 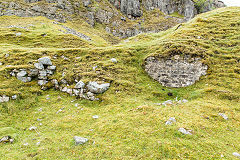 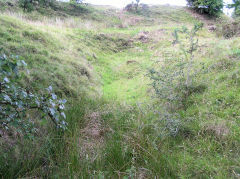 There was also a 'Trostre Coal Pit' below Trostre Cottage but this was part of the Coalbrookvale Deep Pit complex. 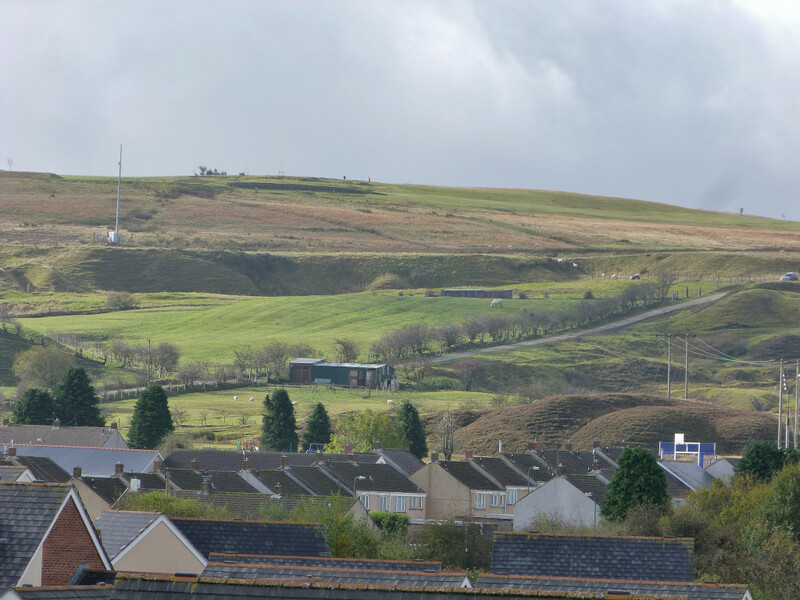 West Blaina opened in 1889 with an incline straight down the hillside to North Griffin Colliery. 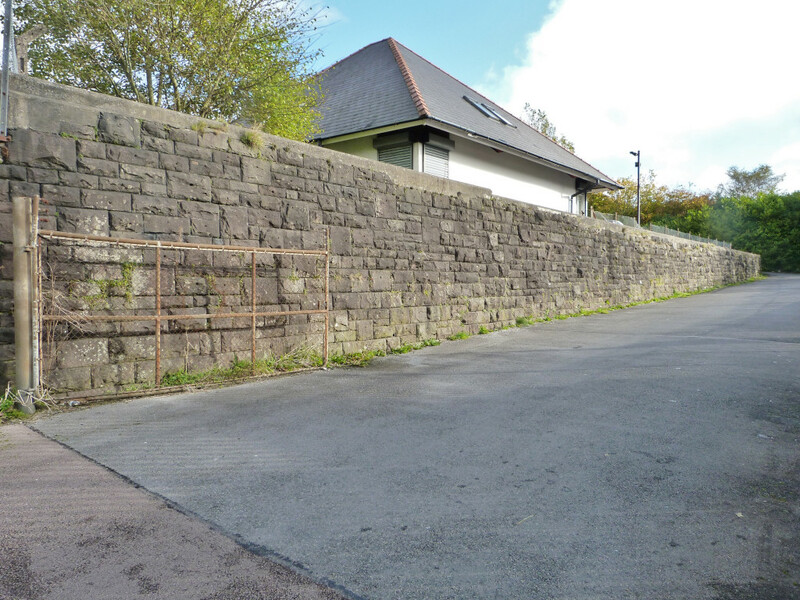 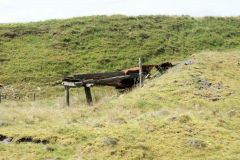 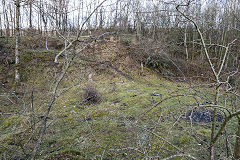 A new incline was built by 1912 running down past Trostre Pit to the sidings of Coalbrookvale Deep Pit where it nay have owned a shunting loco. 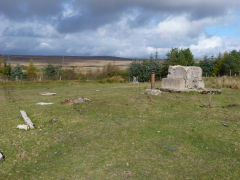 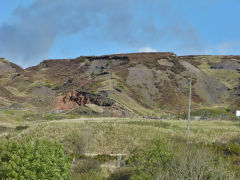 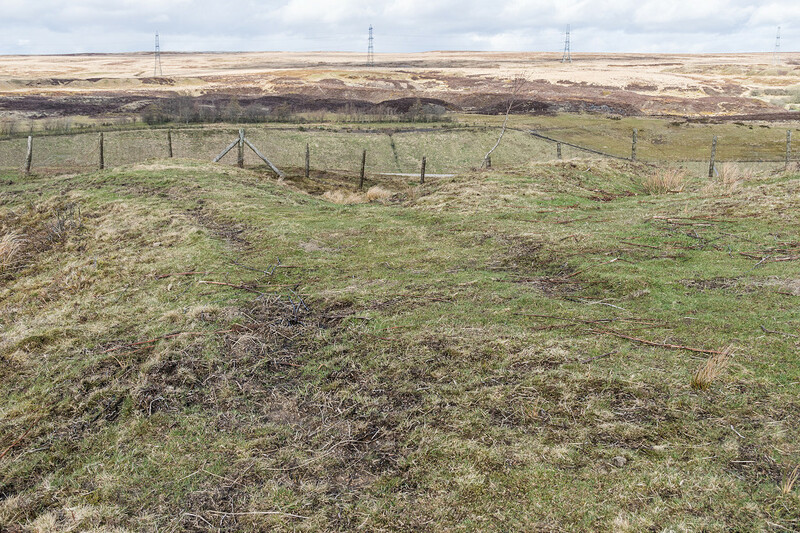 The colliery just survived into NCB days but closed in 1948.The incline up from Trostre is a public footpath and there are a few remains along the moorland fence but the rest has been landscaped. 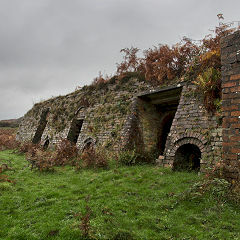 West Blaina Red Ash Colliery was the subject of these excellent photographs in 'Life' magazine in its final working days in 1947. 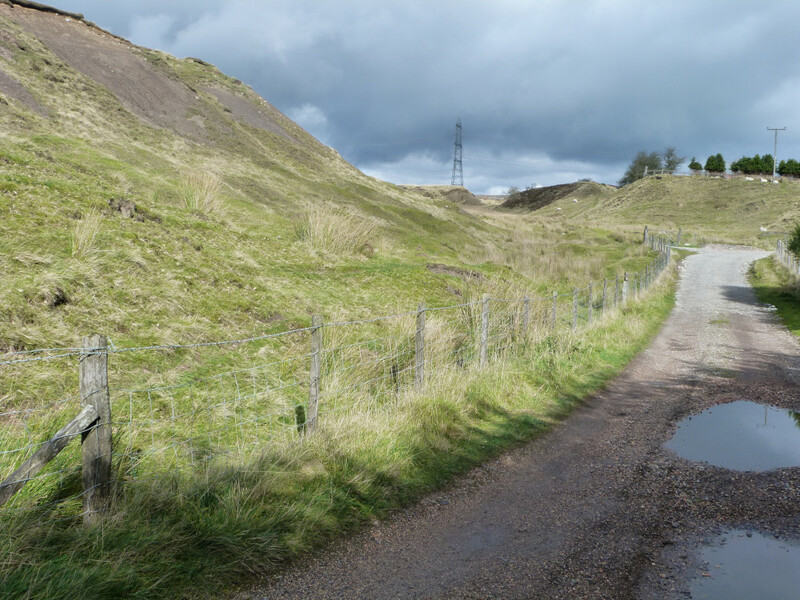 The ropeway and it's winding wheel is quite a feature of the quarry but it is another industry that doesn't seem to appear on any OS maps. The ropeway was probably a 'Blondin' type ropeway down which ended at a now-demolished building beside Baldwin Park. 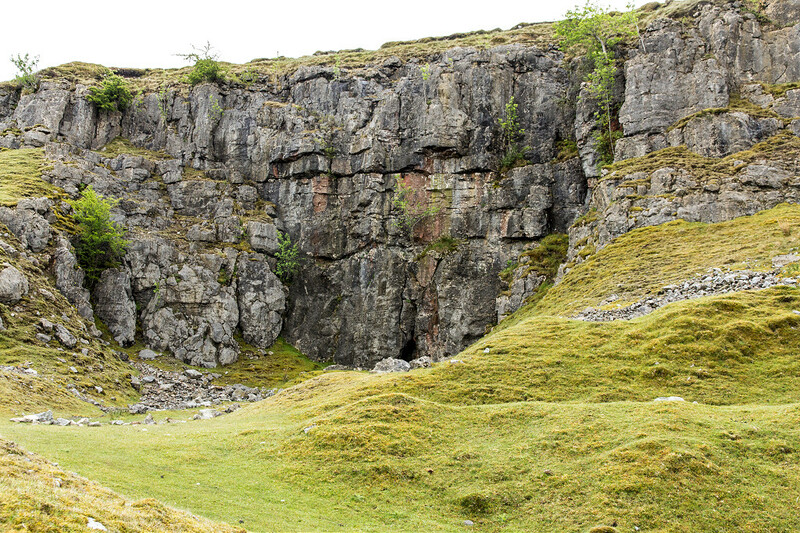 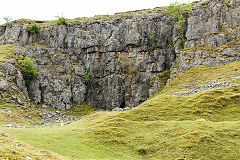 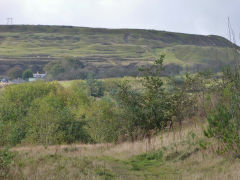 John Monks and Co also owned Swffryd Quarry. 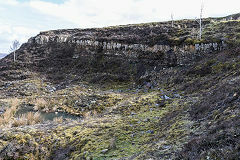 The area at Darren Ddu, SO 1985 0605, shows signs of quarrying but is described as a landslip. 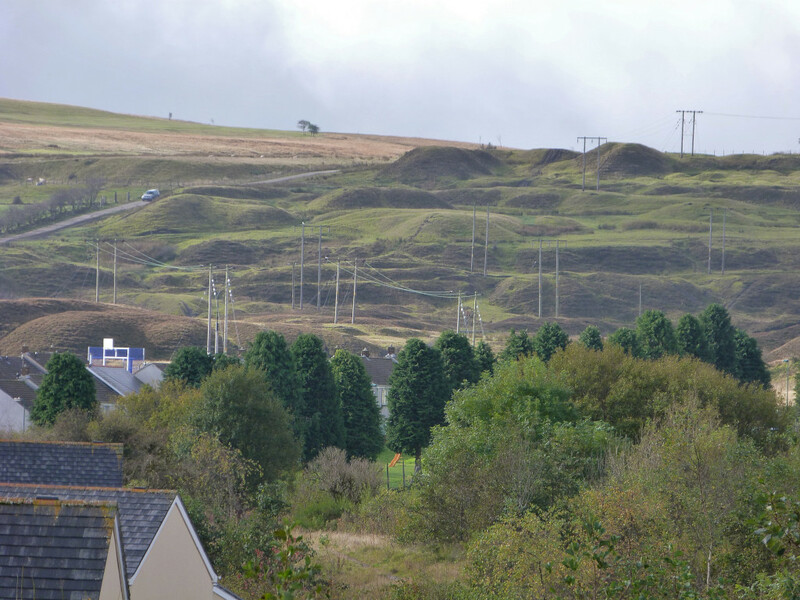 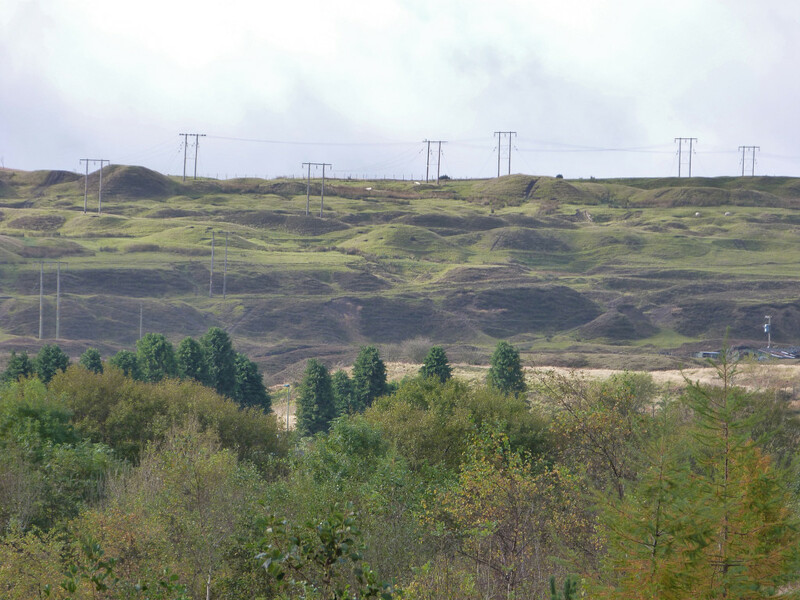 The East Blaina Red Ash Colliery was something of a mystery. 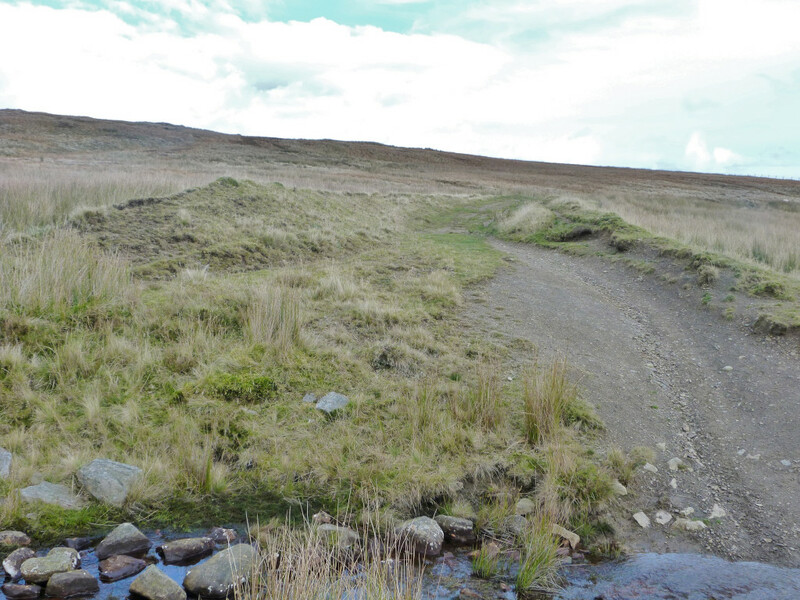 It has skillfully avoided appearing on any OS maps that I've found. 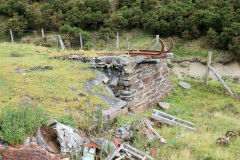 It seems to have sunk by J C Jenkins & Co before passing to the 'Bargoed Coal Co' who also owned Abernant and Llanover Collieries. 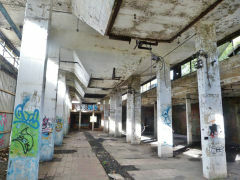 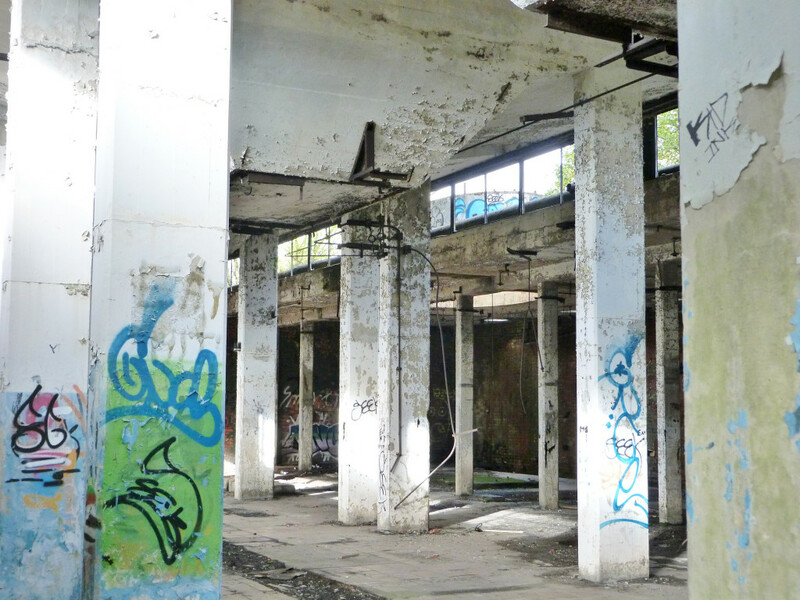 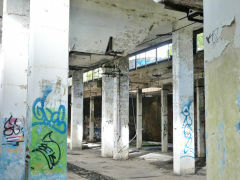 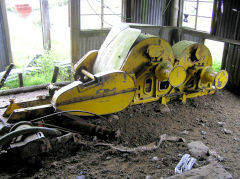 It was active from 1925, being described as 'abandoned' and dismantled in 1936-38. 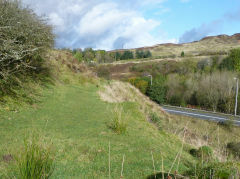 It appears to have re-opened further along the hillside a year or two later, known as the 'Major' level. 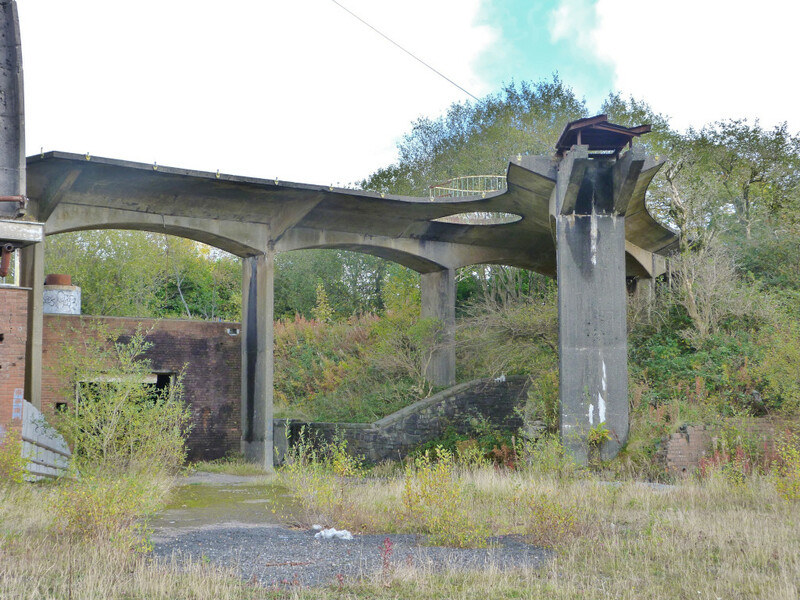 It looks like it closed around nationalisation in 1948. 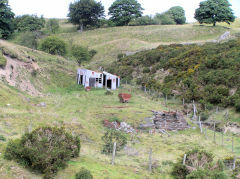 The Aberystruth History and Archaeology Society have completed their project to survey and record the site of East Blaina Red Ash Colliery. 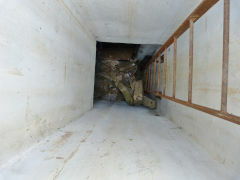 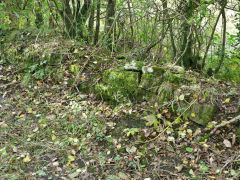 Here are the final photos of their work which will soon be sorted out with the others to make a coherent story. 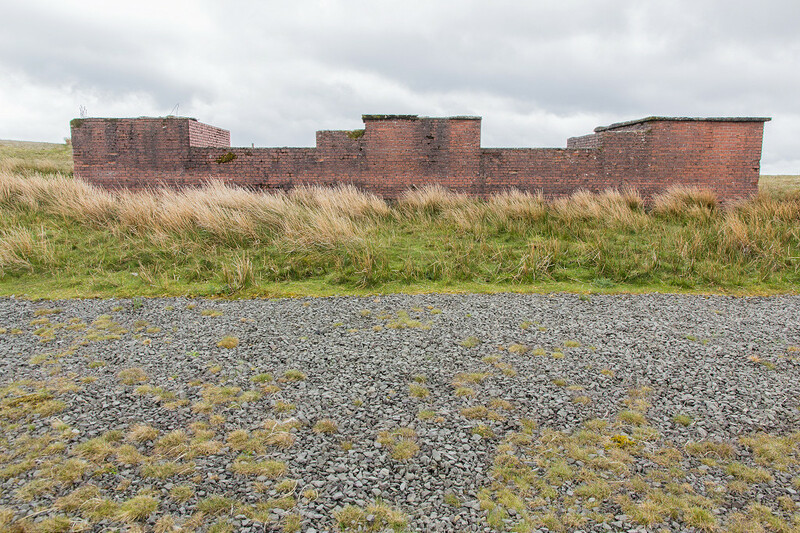 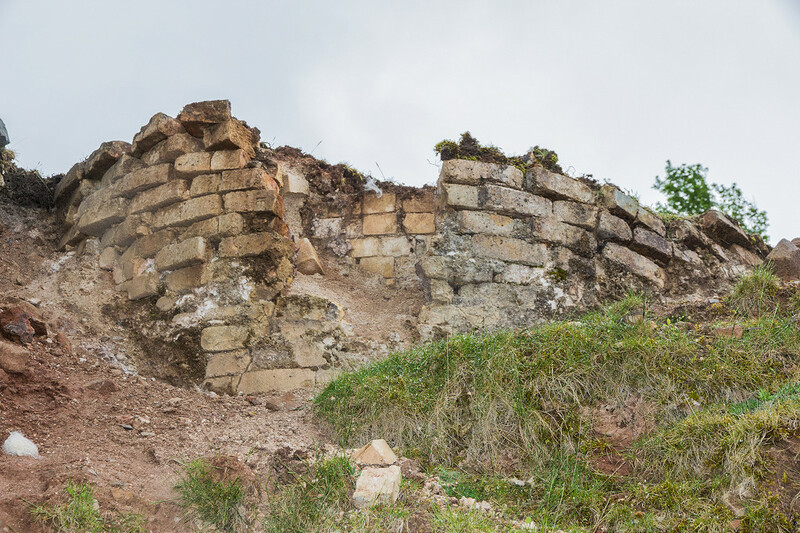 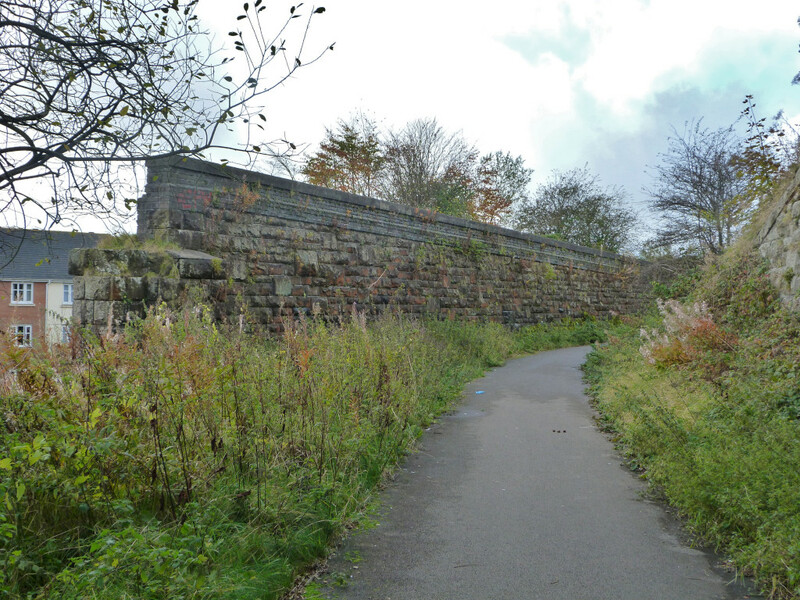 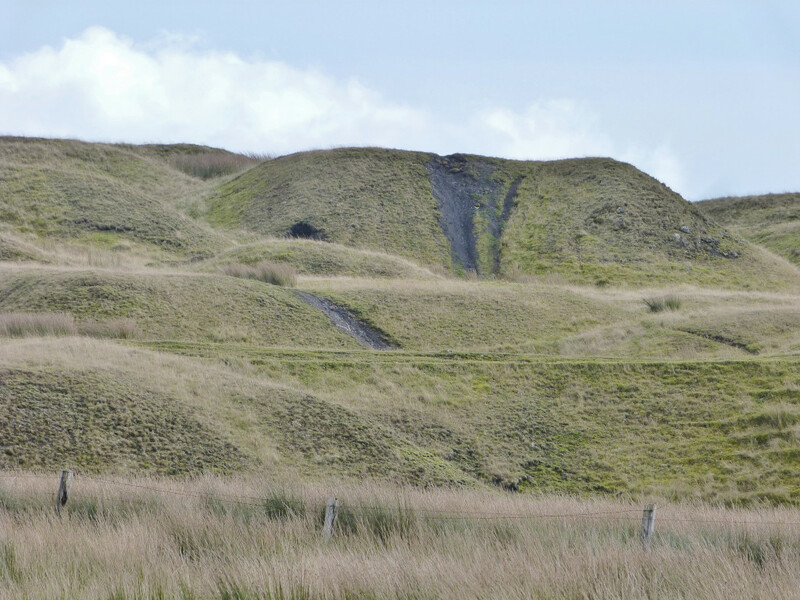 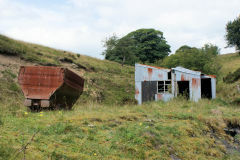 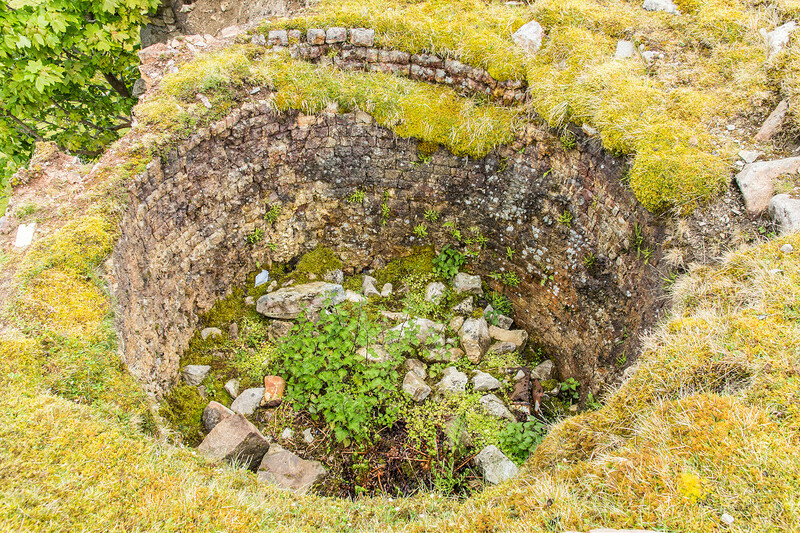 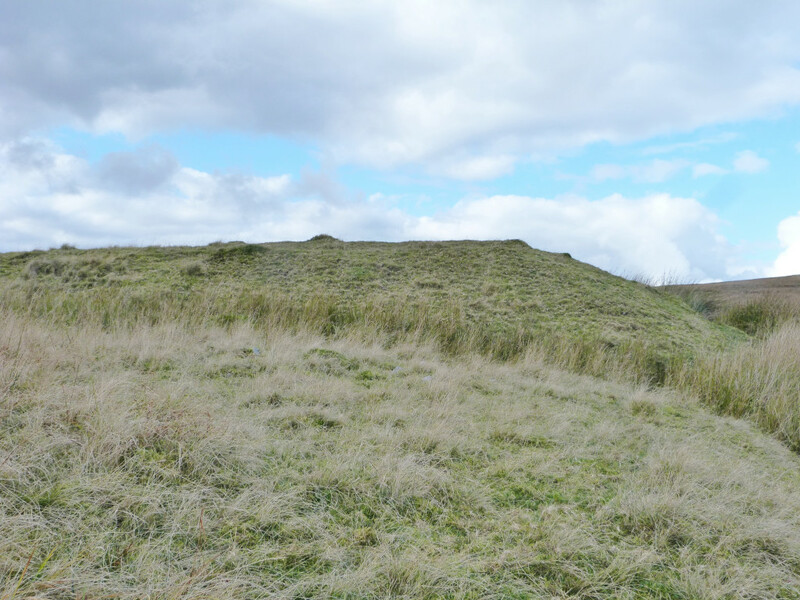 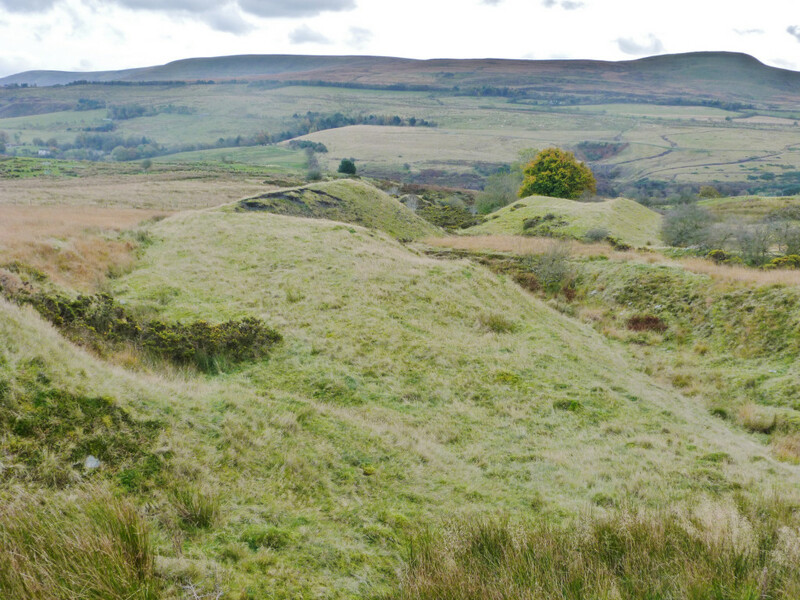 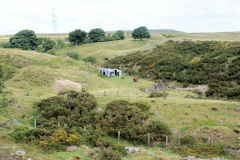 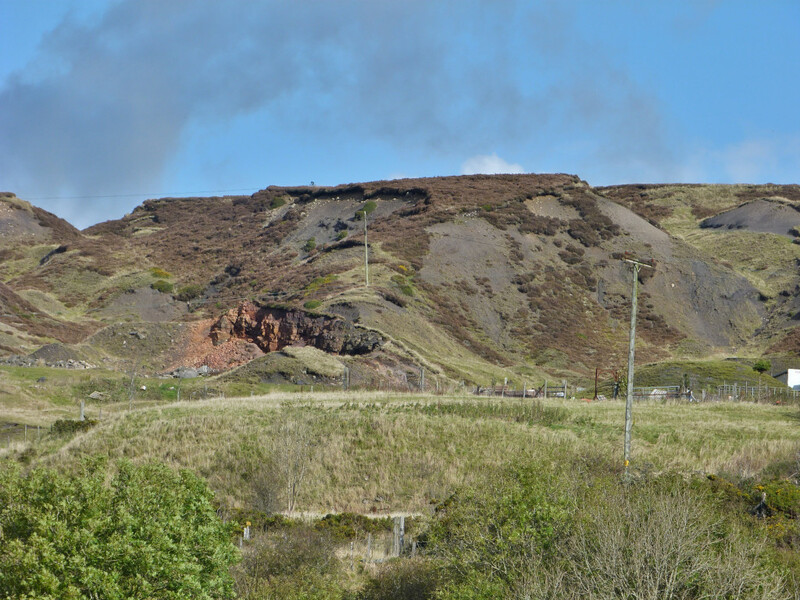 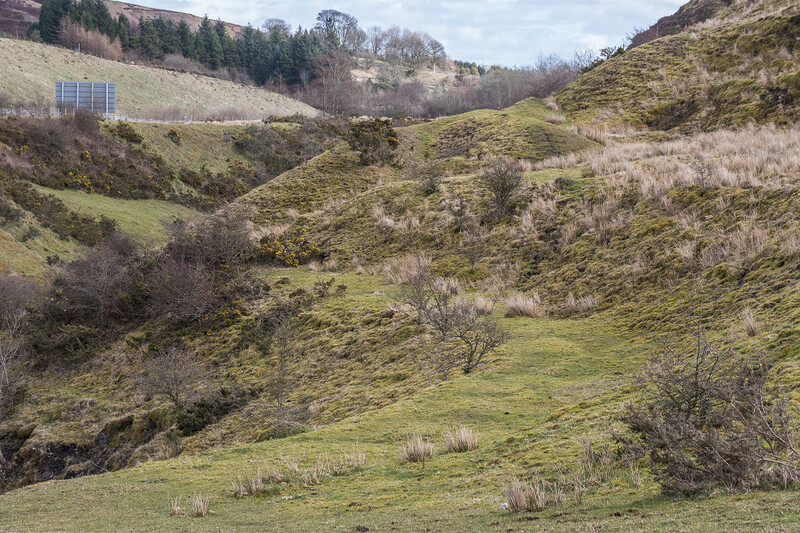 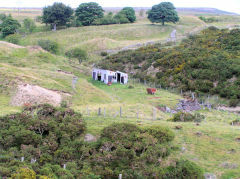 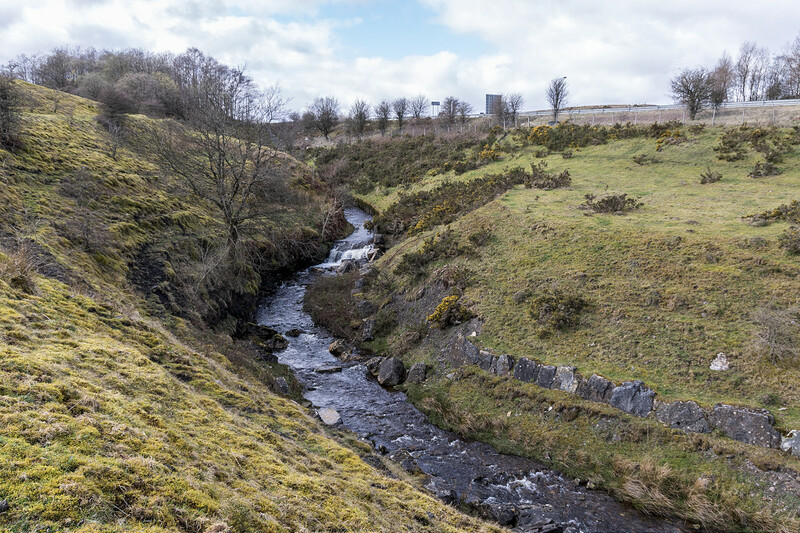 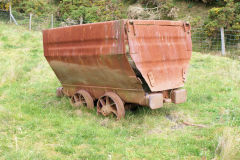 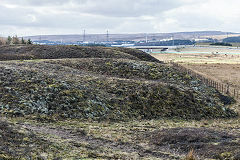 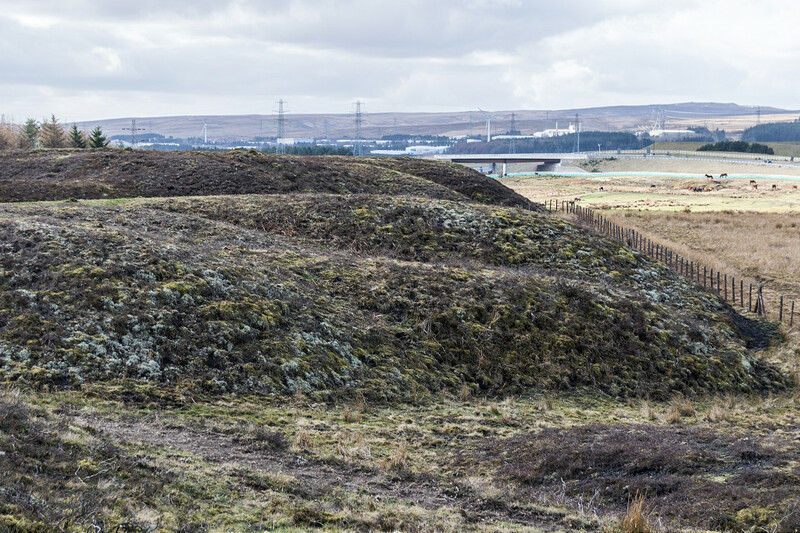 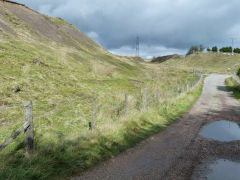 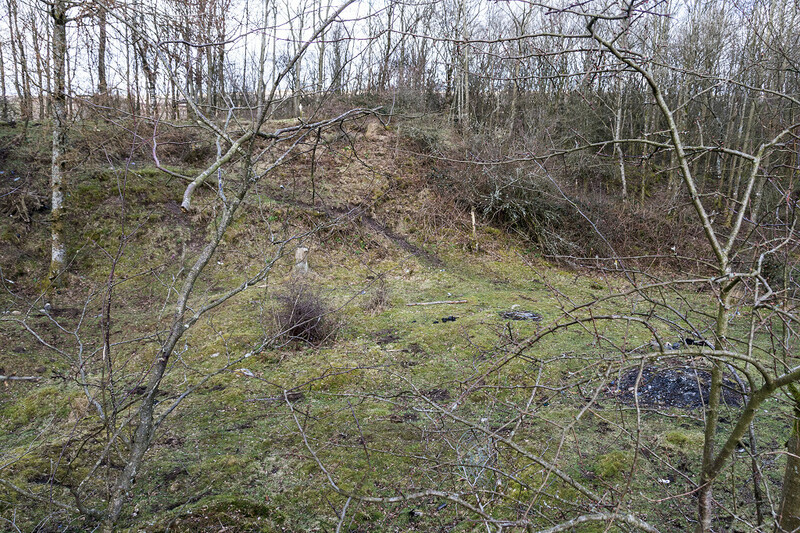 The Aberystruth History and Archaeology Society commenced a 4 year project in 2017 to survey and record the site of the colliery as so little is known about it. 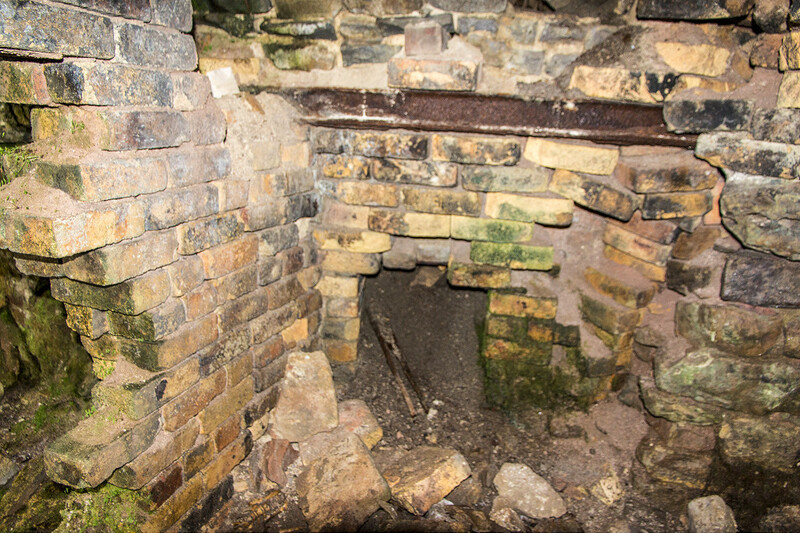 These photos show their early work in progress in July 2017. 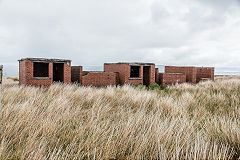 These photos were taken before the AHAS project began. 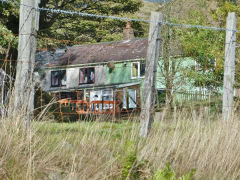 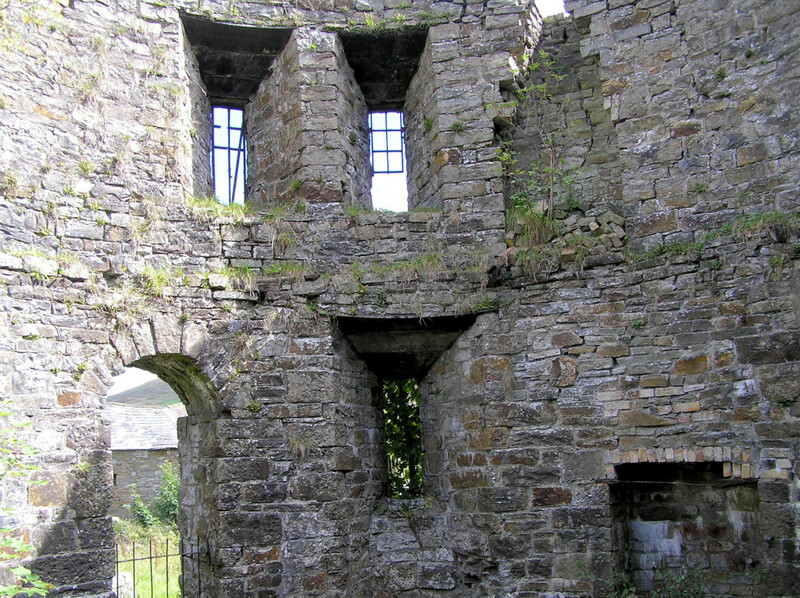 This was the home of Crawshay Bailey, the Nant-y-Glo Ironworks owner with a terrible reputation for ill-treatment of his workers. 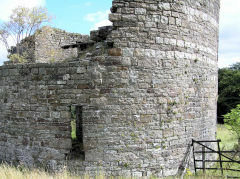 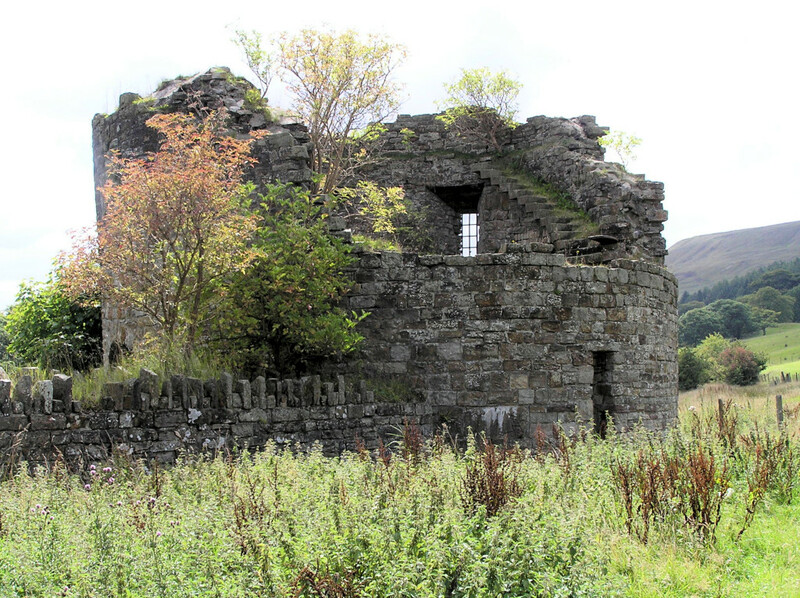 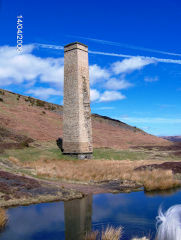 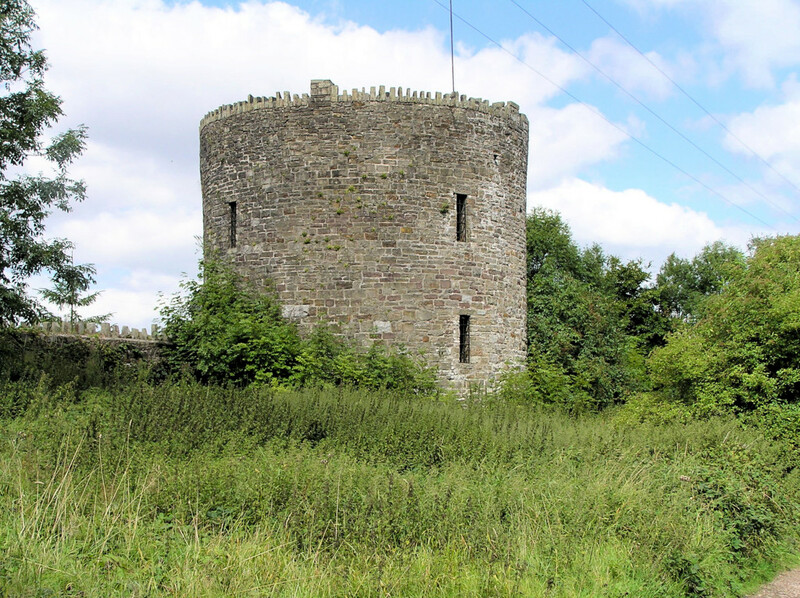 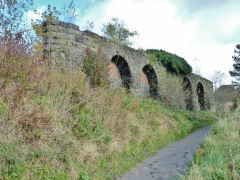 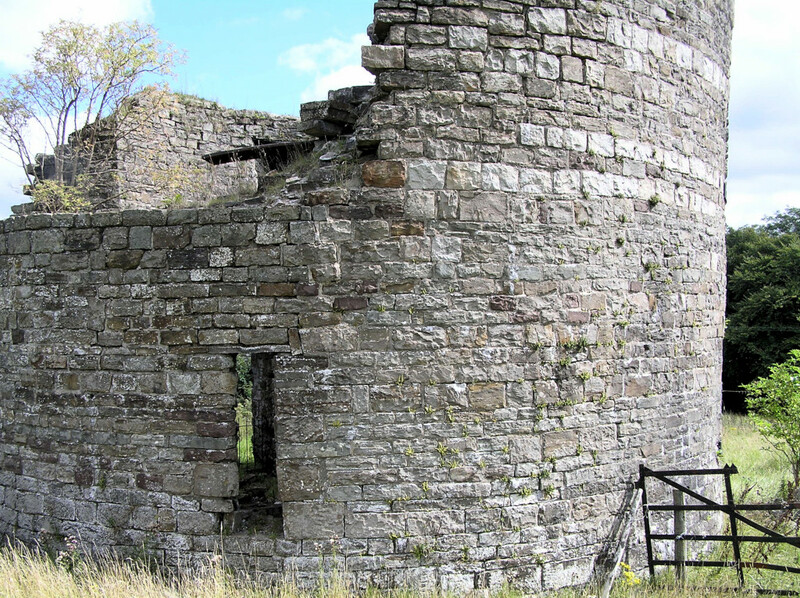 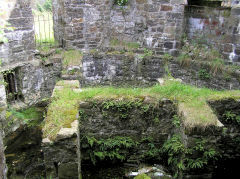 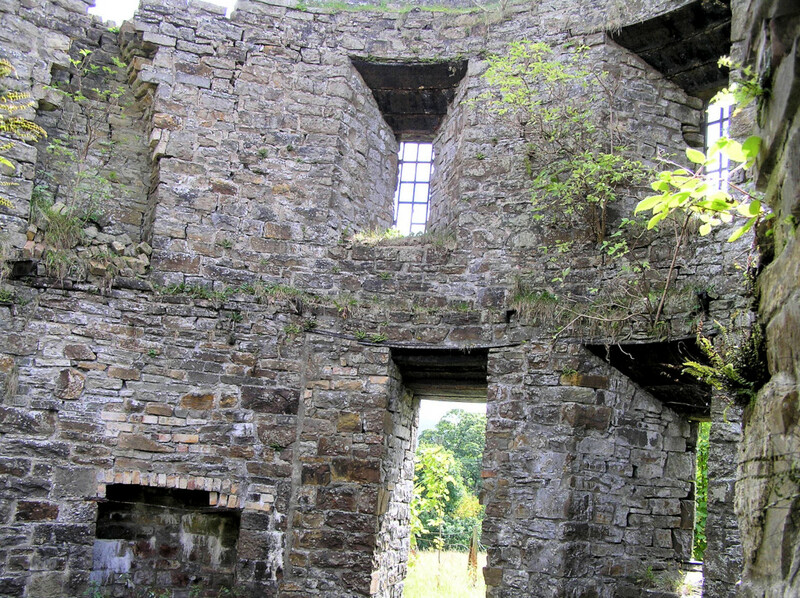 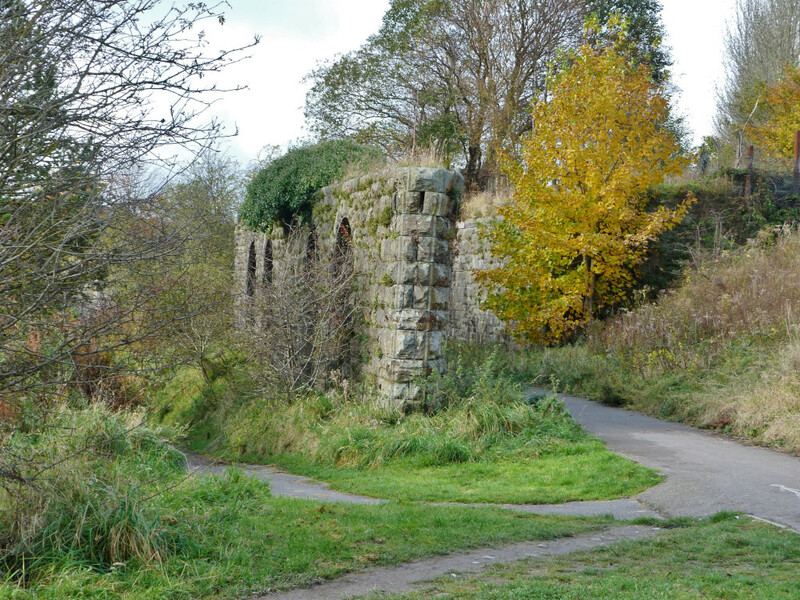 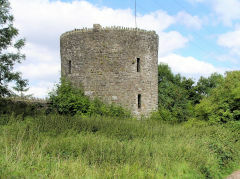 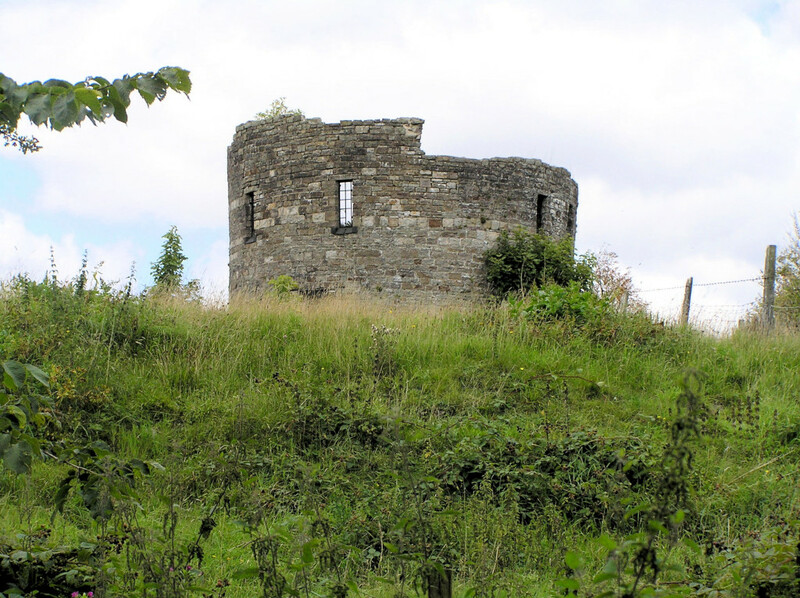 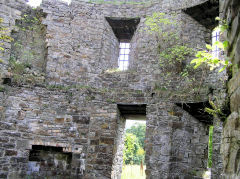 The Round Towers were built in 1816 by Matthew Wayne and Joseph and Crawshay Bailey, the owners of Nantyglo Ironworks. 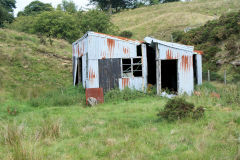 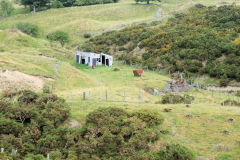 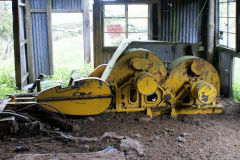 They lie either side of Roundhouse Farm and were refuges for the owners from the anger of their workforce. 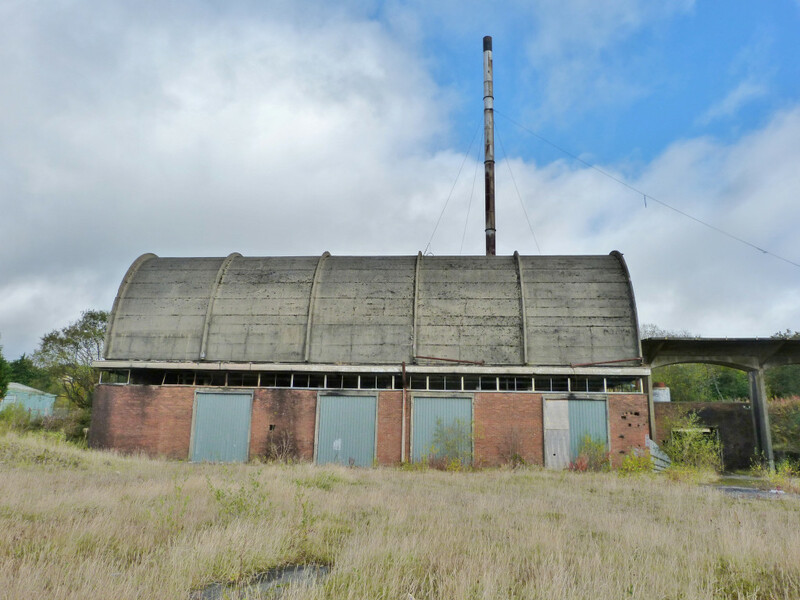 This futuristic factory was designed by Ove Arup and others and built in 1951 as a rubber factory before making the vinyl flooring known as 'Semtex'. Not very successfully as it was demolished in 2001. The boiler house still stands by the factory site is now a supermarket. Three mainline railways met at Brynmawr, two GWR branchlines, one up the Western Valley from Aberbeeg, the other over the top from Blaenavon, and the MTAR (LNWR) line from Abergavenny to Merthyr. 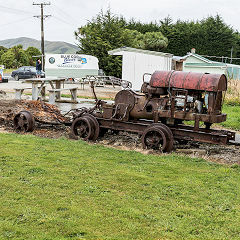 Thrown into the mix were a whole cat's cradle of tramroads, railroads and minor tramways. 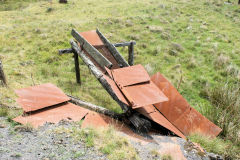 But there's not a lot left! 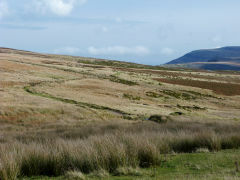 Rhas Fach and the Patches is the area to the North of Brynmawr town up to the A465 Heads of the Valley Road. 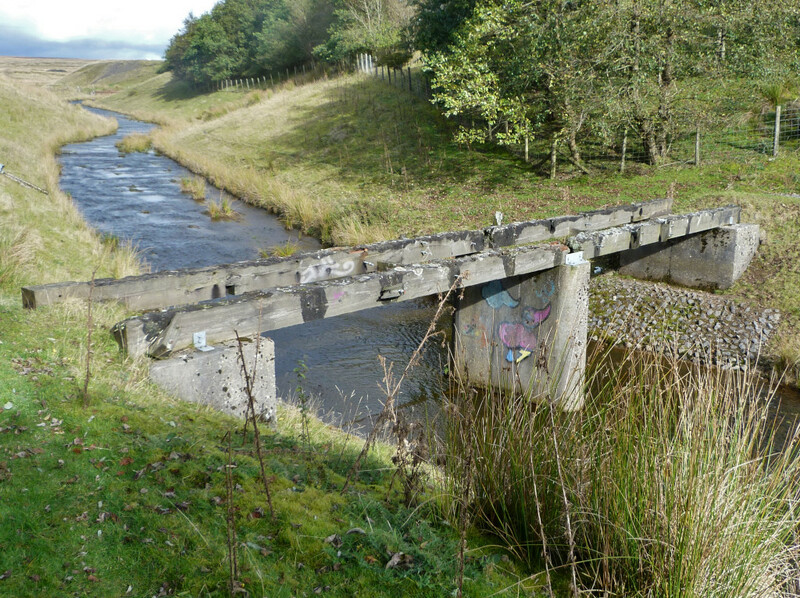 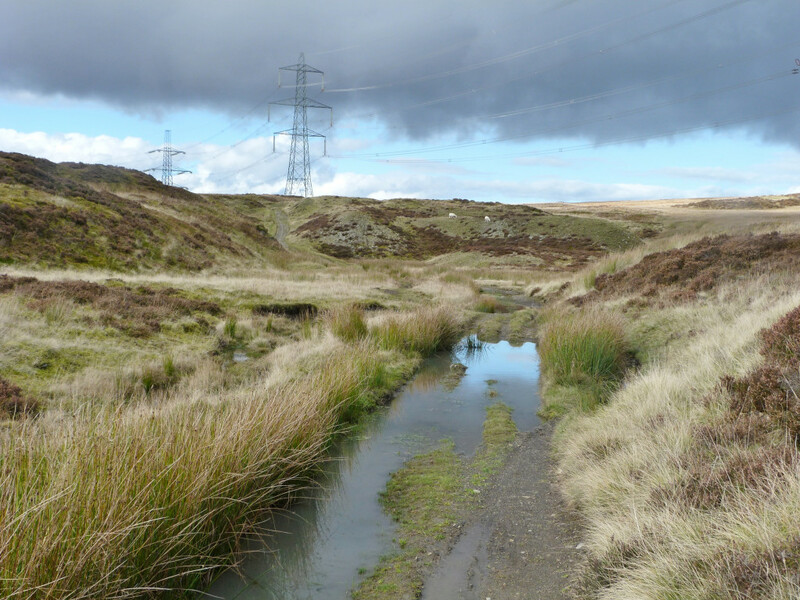 You can follow the course of the Disgwylfa Tramroad from Clydach Street until it disappears under the A465. 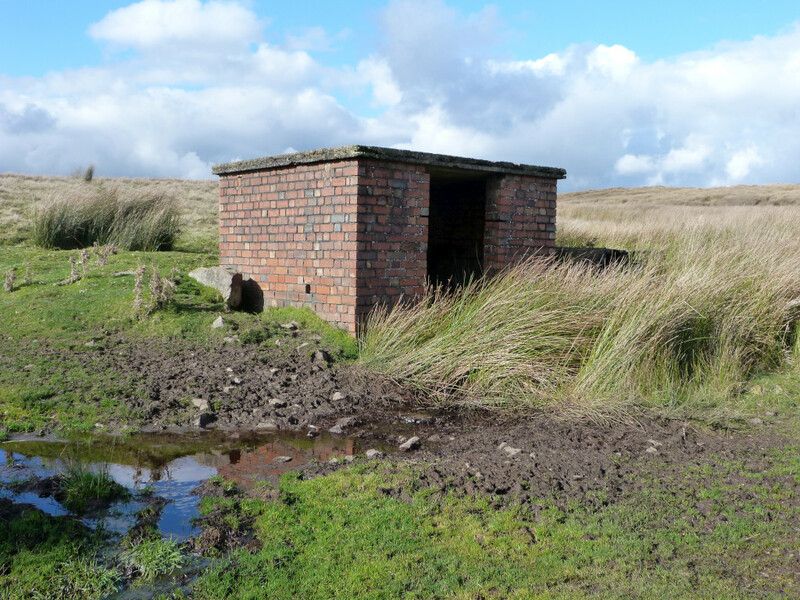 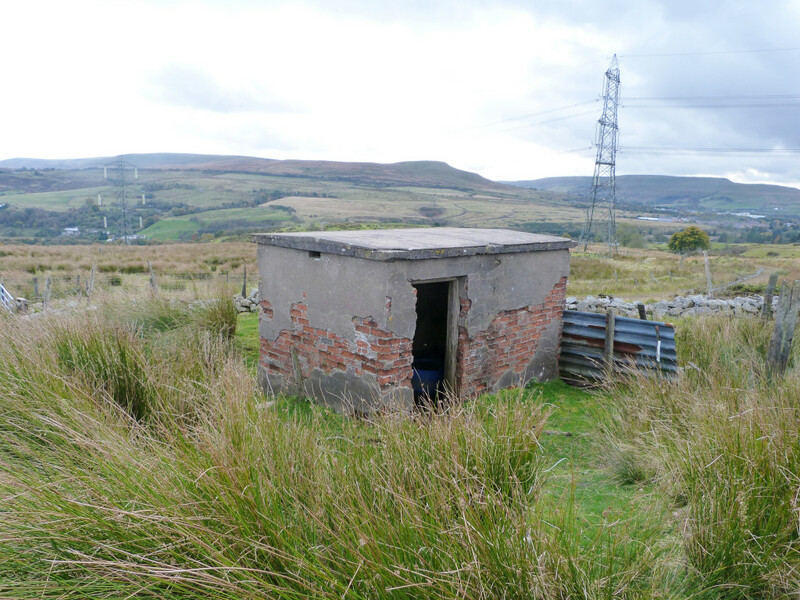 No sign of the stone sleepers which I've heard are here, but I did come across a Royal Observer Corps lookout post, in use from 1962 to 1973, on the hill above. 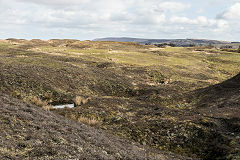 Rhas Fach (Little Race) was an area of very old scourings, quarries and mine workings for both coal and ironstone with a small community near the ponds. 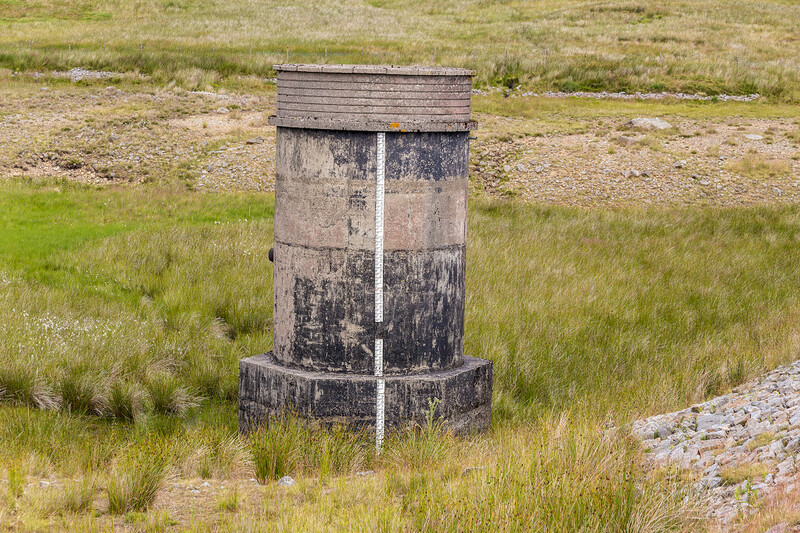 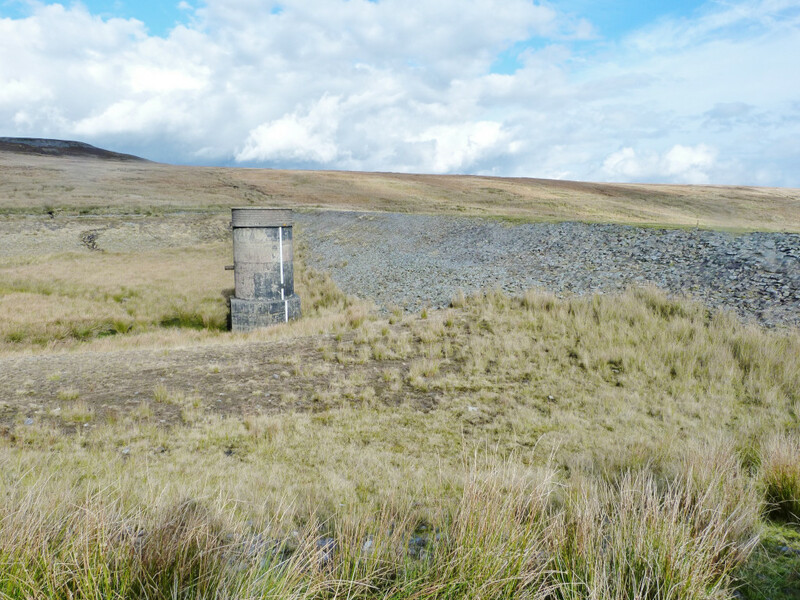 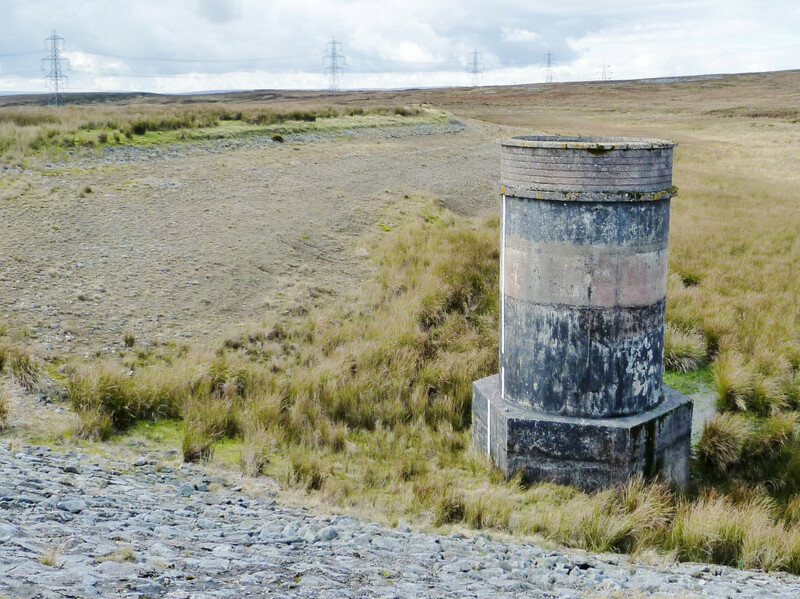 The reservoir started life before 1813 as a water supply for Nantyglo Ironworks, greatly enlarged in 1936 and further improved in 1942. 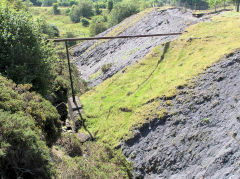 This was when the quarry and tramway were in use. Geoff Palfrey says "I was told that after the new dam was built the reservoir would not flood, water was flowing into the old iron and coal workings and running to adit and these had to be bashed off. 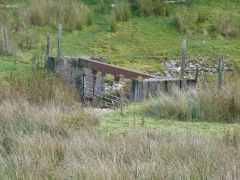 The leakage of water exceeded construction budgets and the company had to borrow 1.3M pounds in July 1936, the budget for the works doubled from 4.5M to 8.5M, Sir William Firth, the brilliant innovator who did more than any other to revitalize the site took the hit from the banks and nay sayers and was forced to resign in 1940 and died in 1957, however, the works repaid its debts fully by the end of WW2. I was running in a new KTM dirt bike in the winter of 1979 in the area and stopped to look into what I thought was a fox hole in a gulley, I bent over to look in and found that I was looking back under where I was kneeling on the tramrails planks and dirt cap of an old stone lined shaft, O level physics and snowballs showed it to be about 60 foot deep and solid at the bottom. 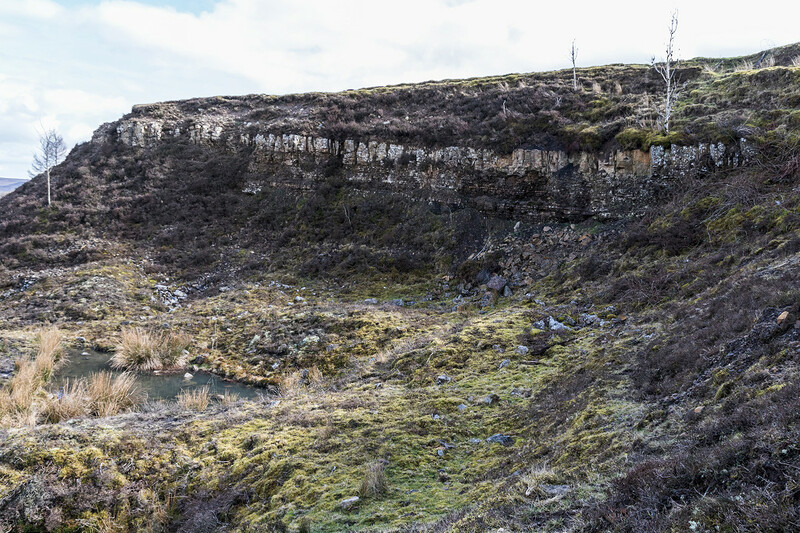 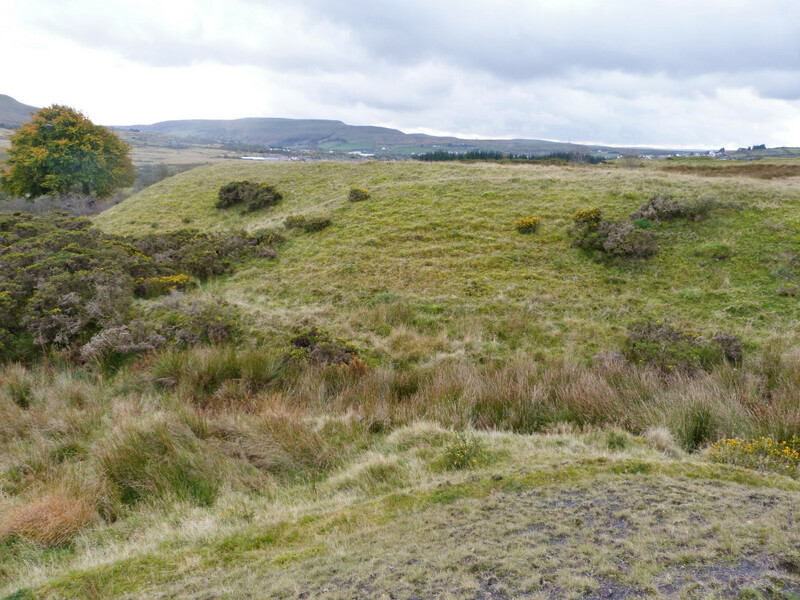 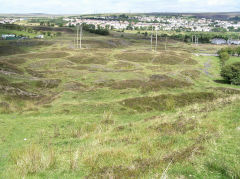 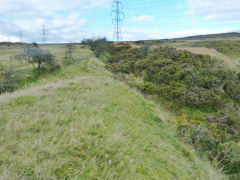 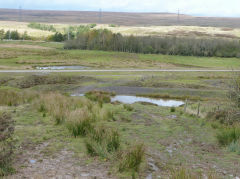 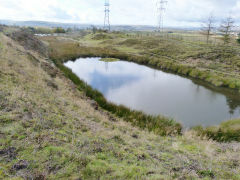 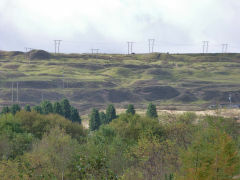 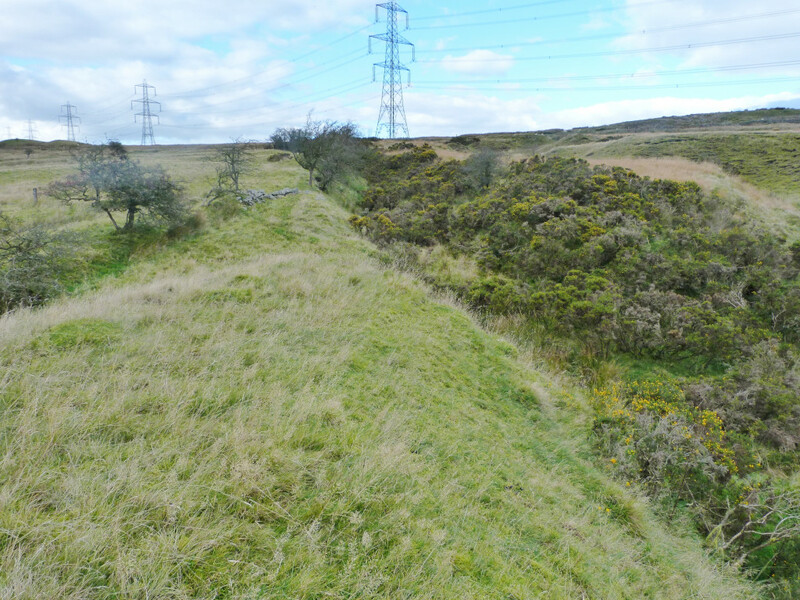 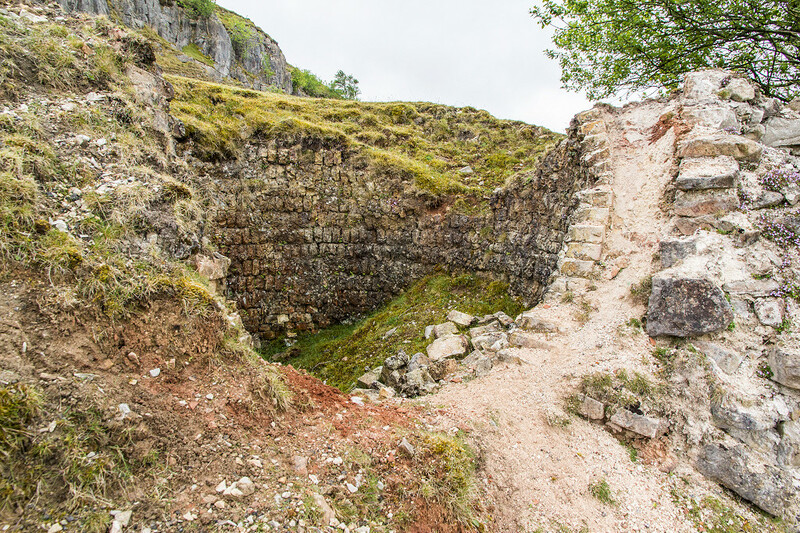 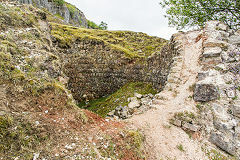 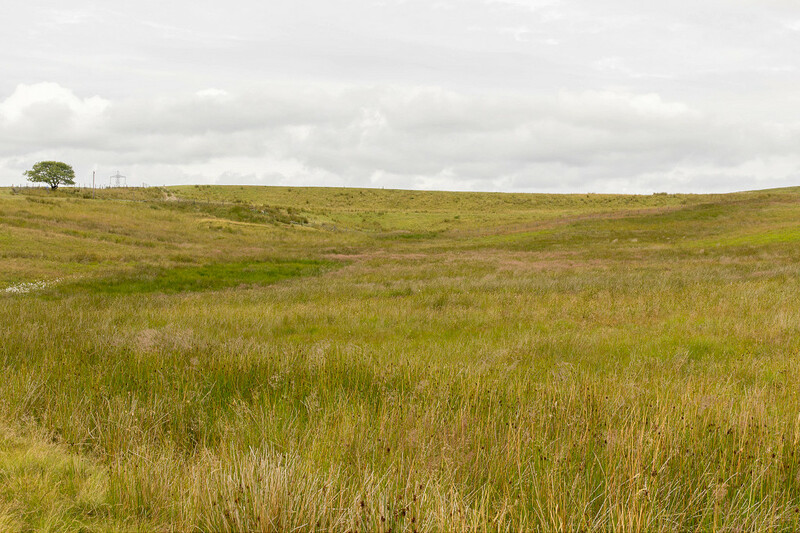 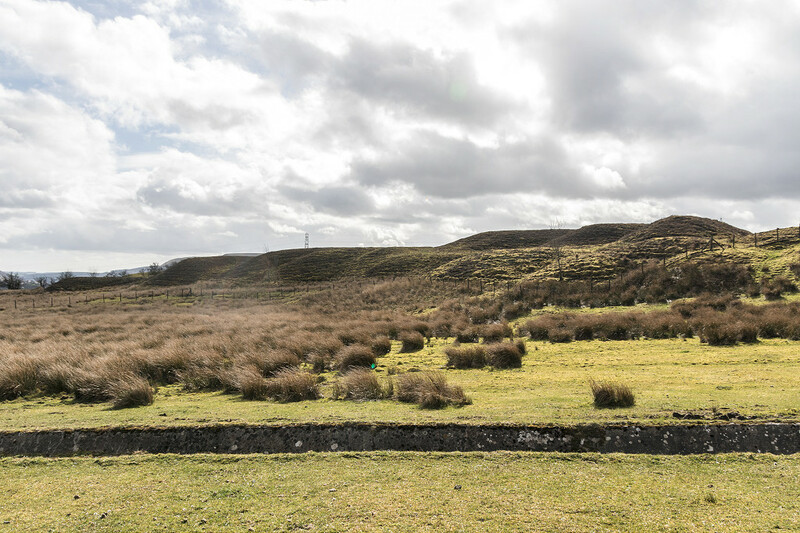 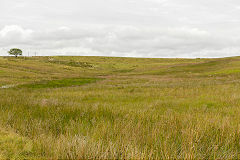 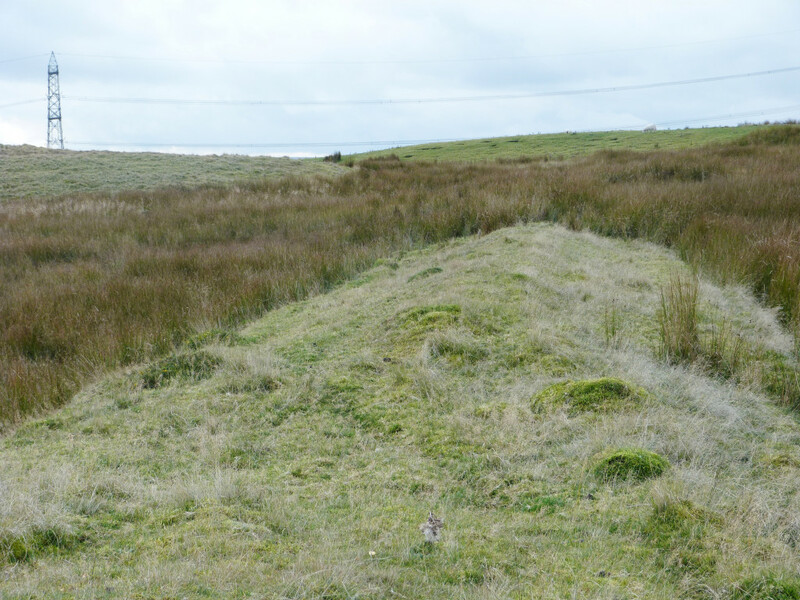 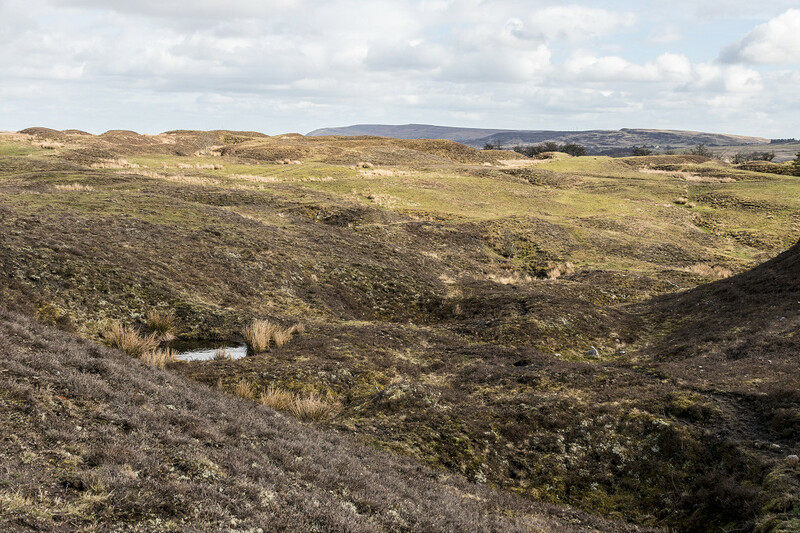 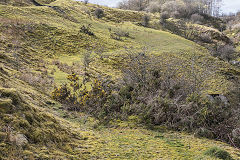 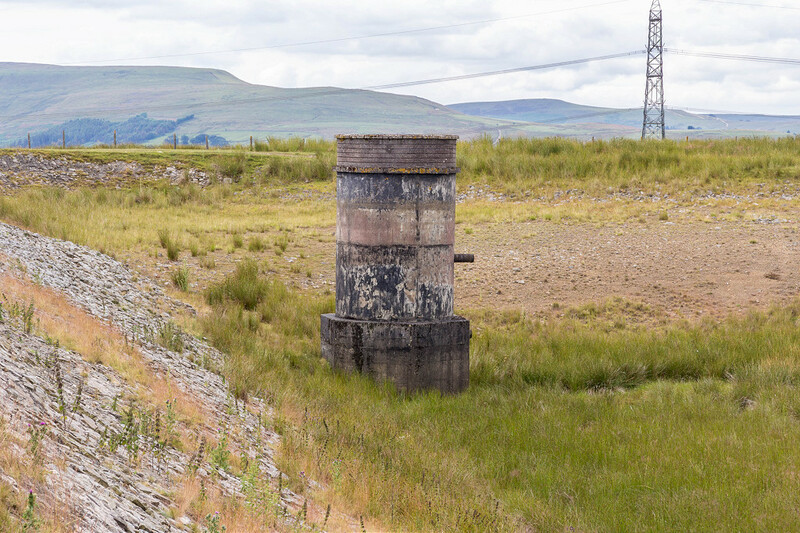 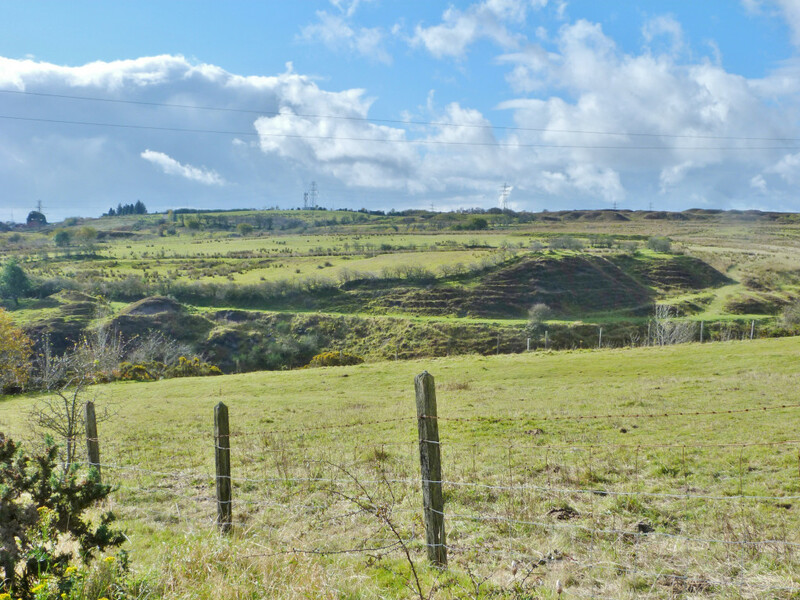 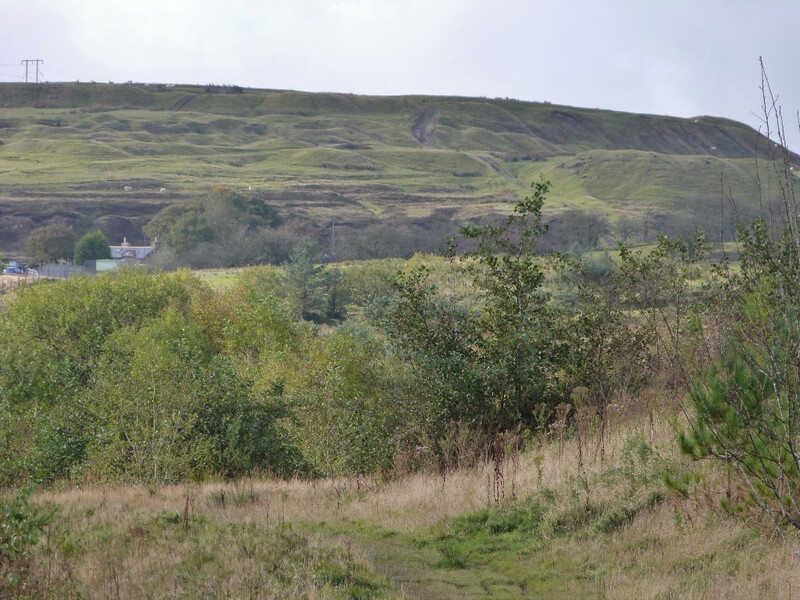 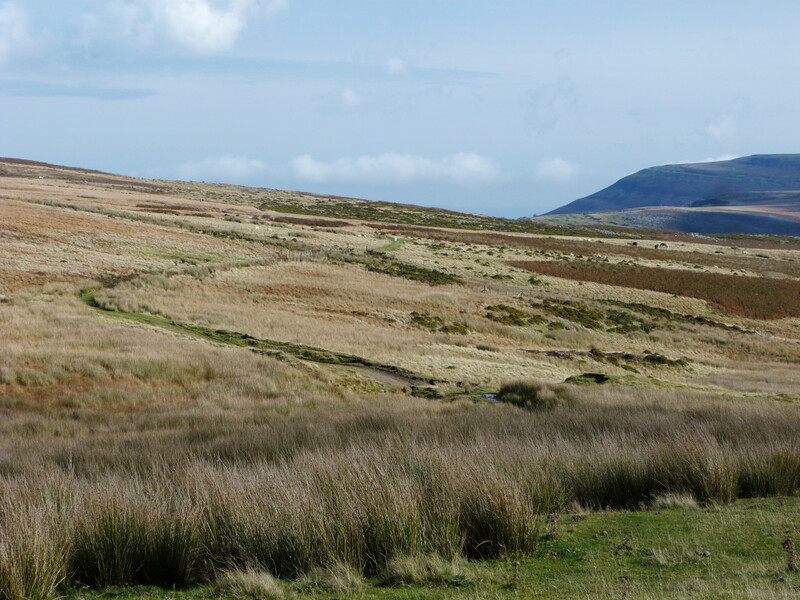 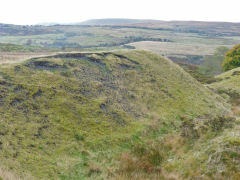 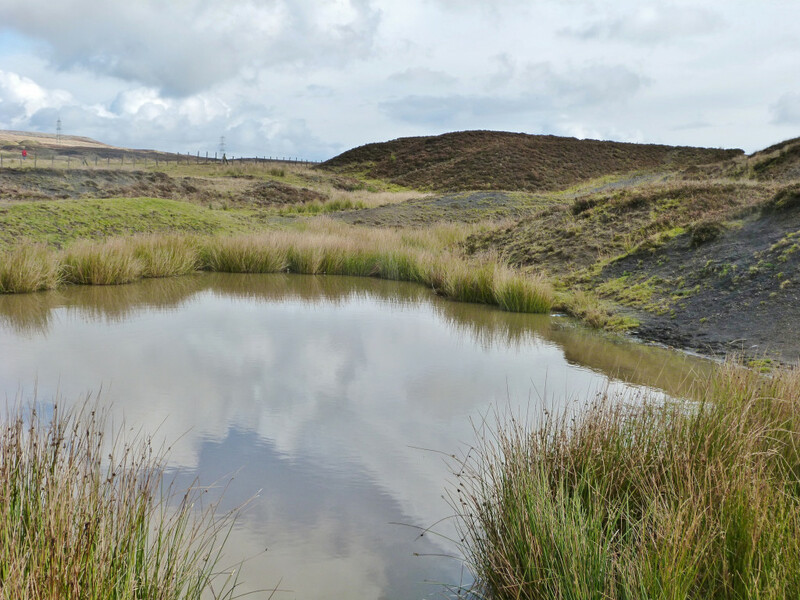 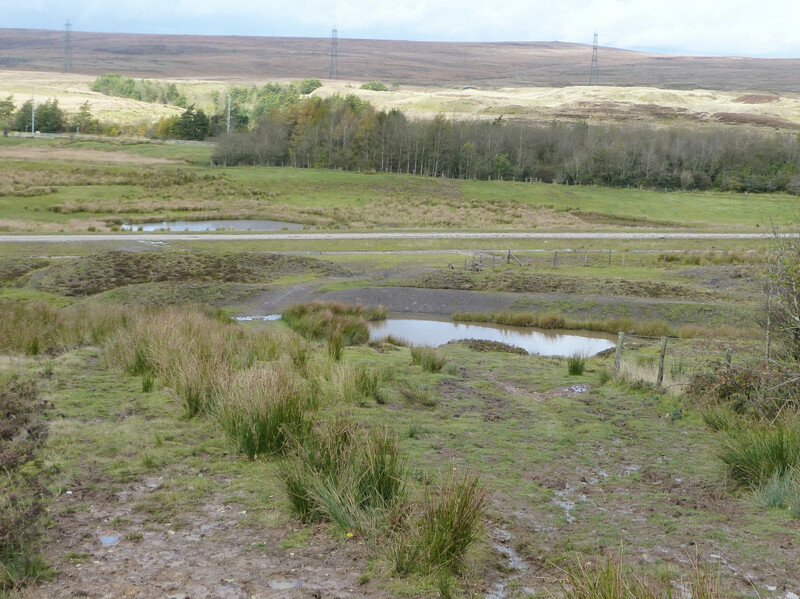 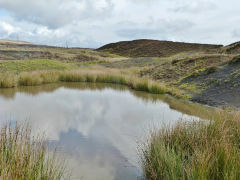 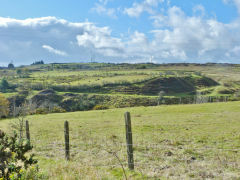 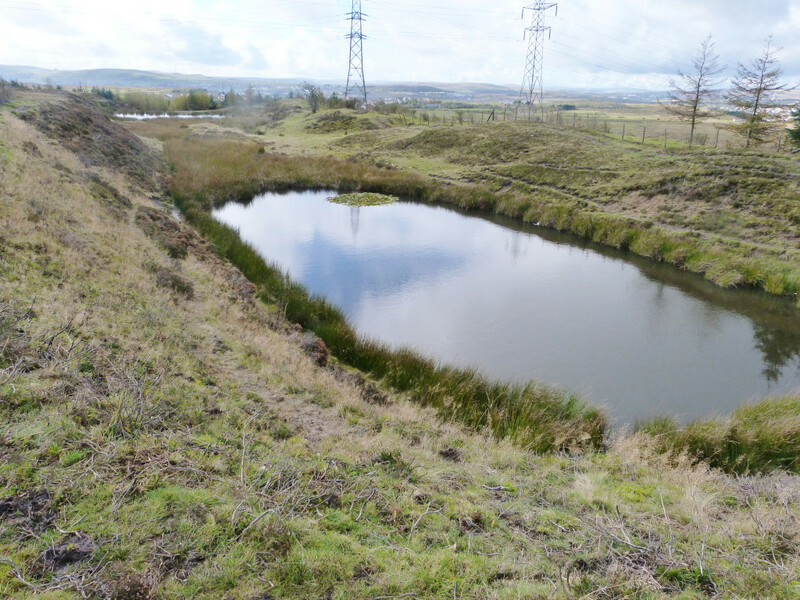 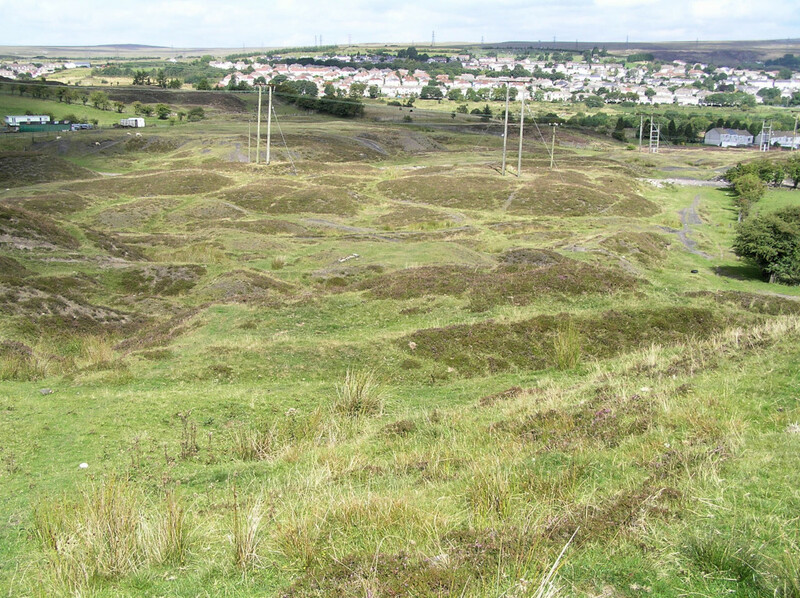 The whole area is honecombed with outcrop and shallow mines, the Bryn Pit south of the reservoir was open until recently for water for the works in Ebbw ". 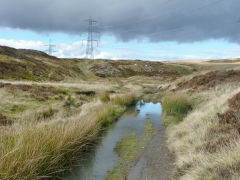 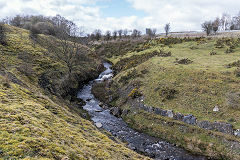 The headwaters of the Clydach River as it emerges below Blaen-y-cwm Reservoir into Clydach Dingle, an area of very ancient workings. 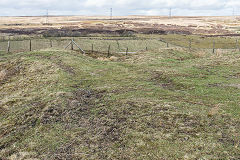 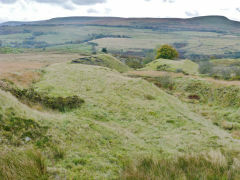 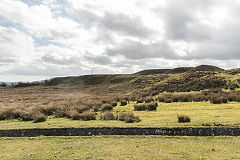 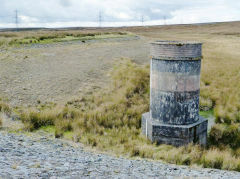 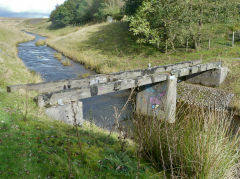 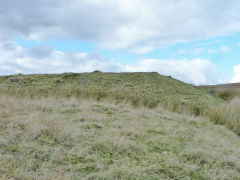 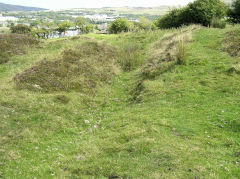 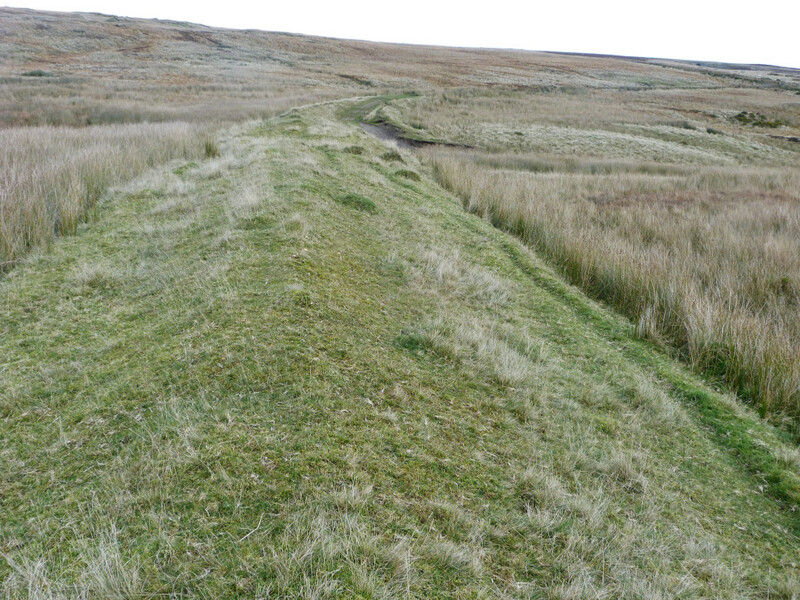 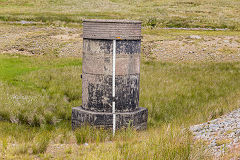 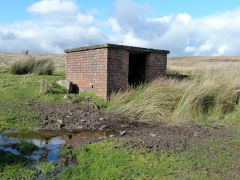 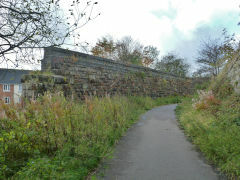 Cairn Mound Reservoir provided the domestic water supply for Brynmawr by 1880 but became disused by 2005 following leakage in the dam. 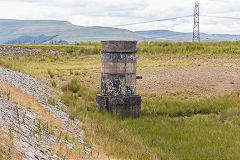 Underground filter chambers are in front of the dam. 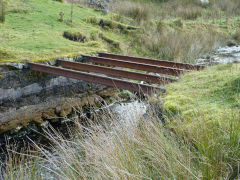 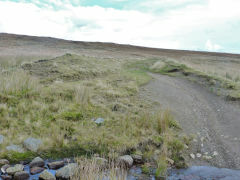 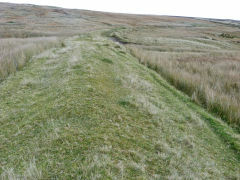 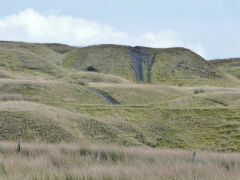 The Disgwylfa Tramroad re-appears in front of it on it's way to the quarries. 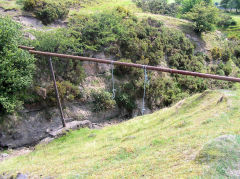 Ancient and modern workings to the North of the top of the Clydach Gorge. 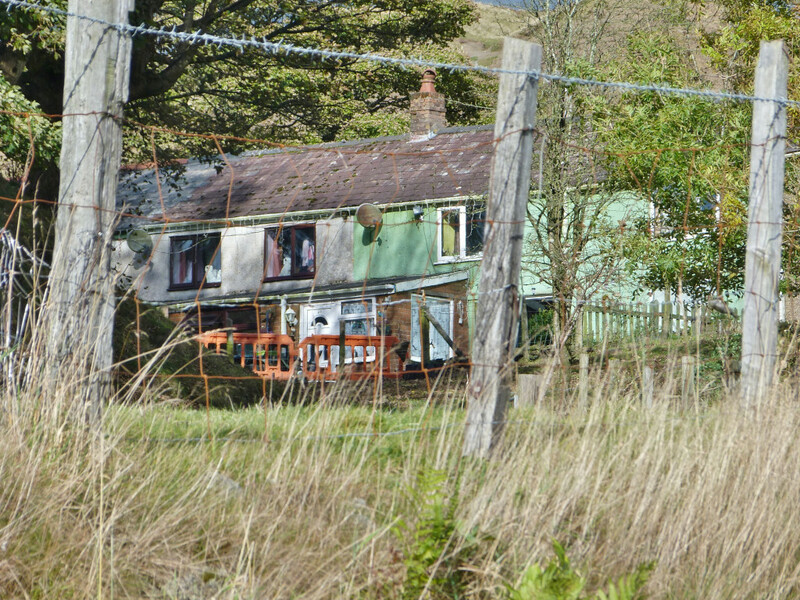 Coed Cae Mawr working an 18" seam on and off until the late 1980s or early 90s, leaving behind quite a bit of ironmongery around a corrugated iron shed. 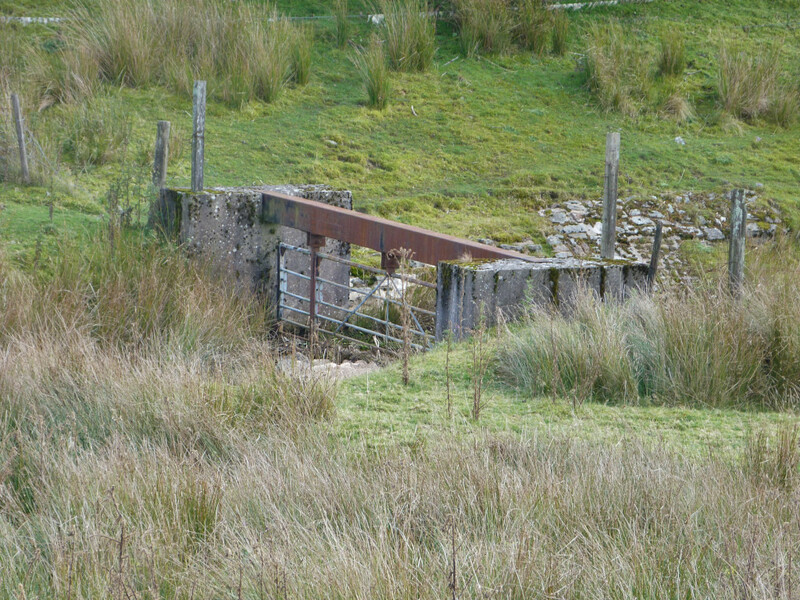 Cwm Nant Melin, 400 yds away, worked around the end of the 19th C, leaving an interesting run of collapses running through the field behind the level. 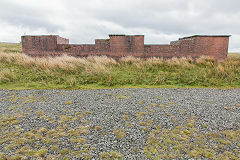 The live hand-grenade firing range consists of storage rooms with flat concrete roofs and an unroofed waiting and throwing area against the front wall, with safety blast walls. 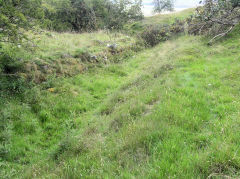 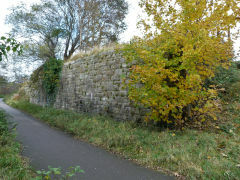 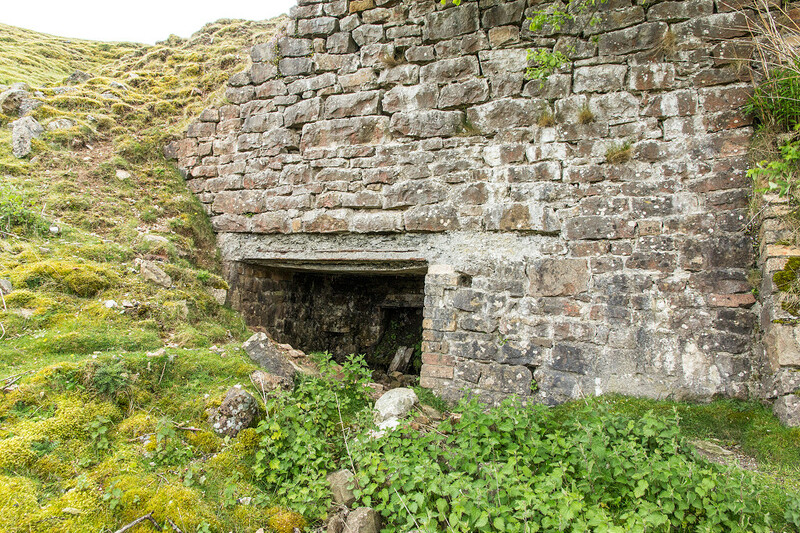 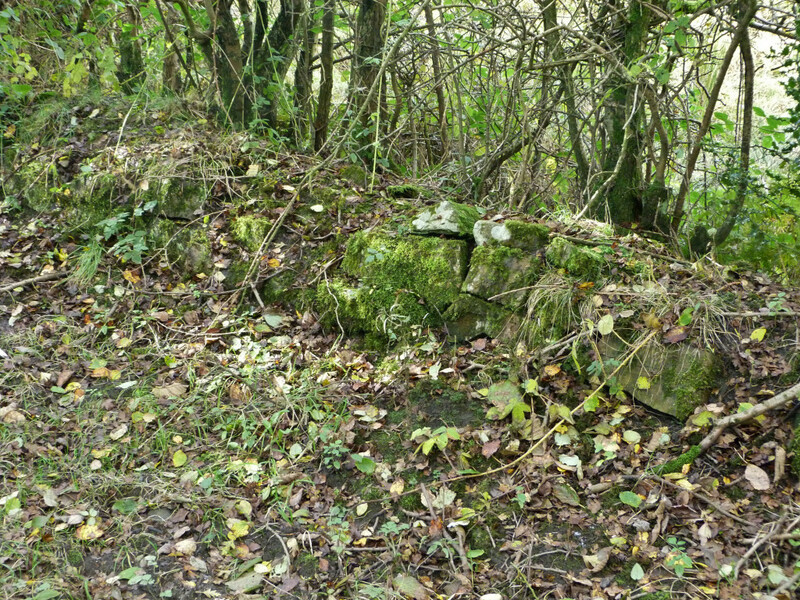 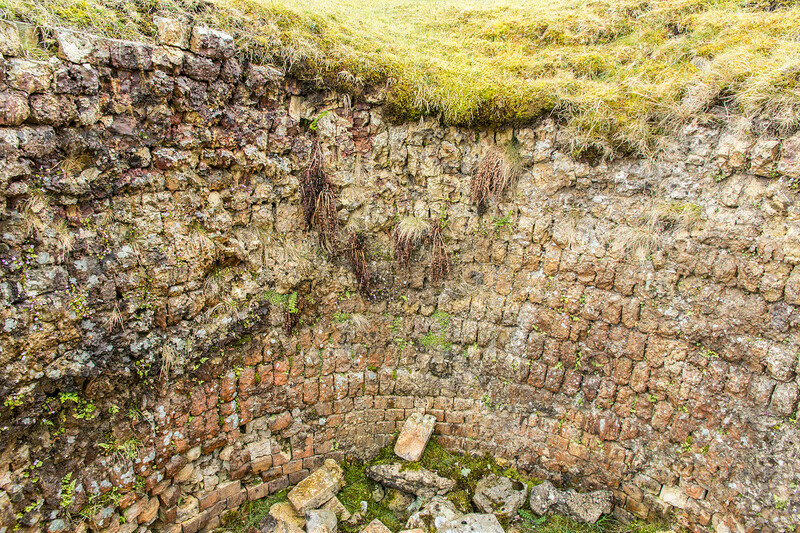 The limekilns at Craig-y-Castel have unusual square entrances to the draw-holes.